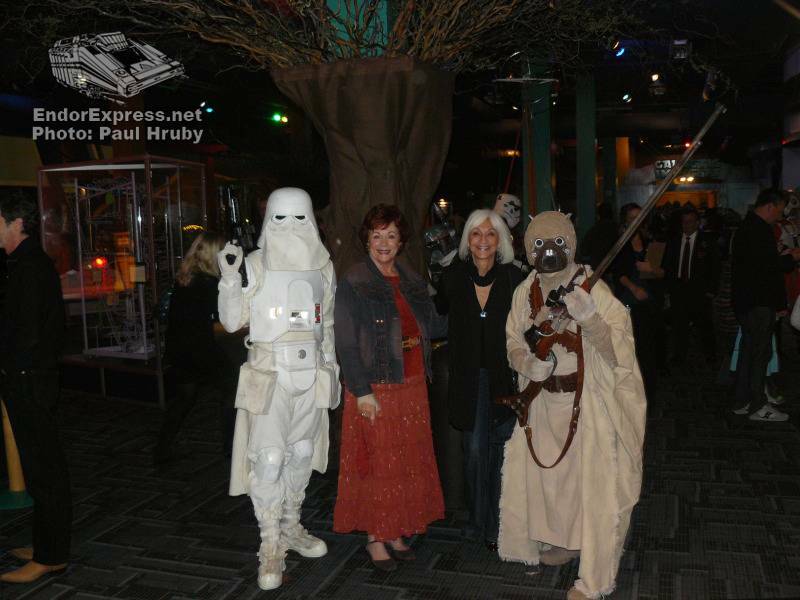 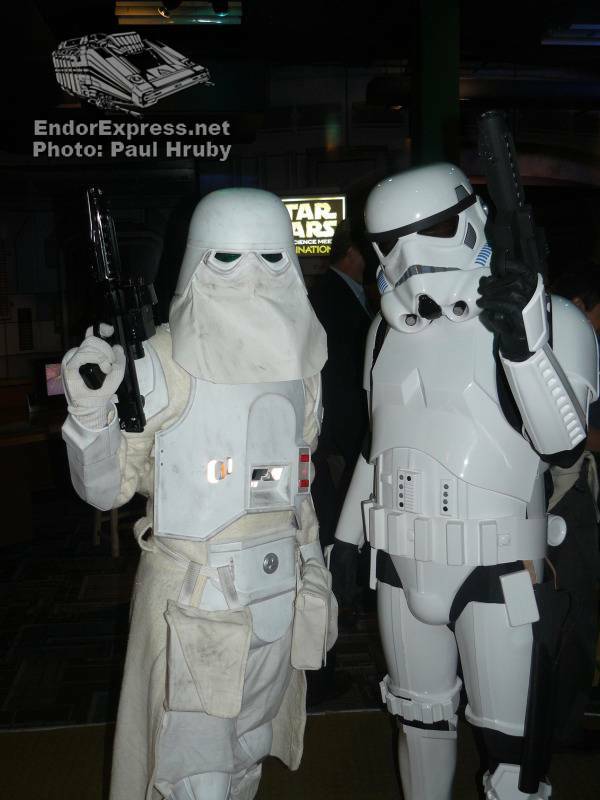 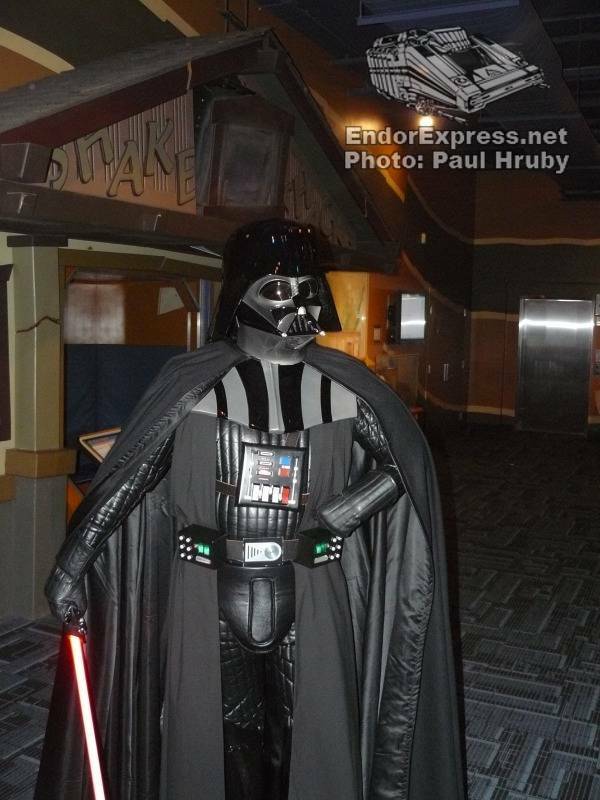 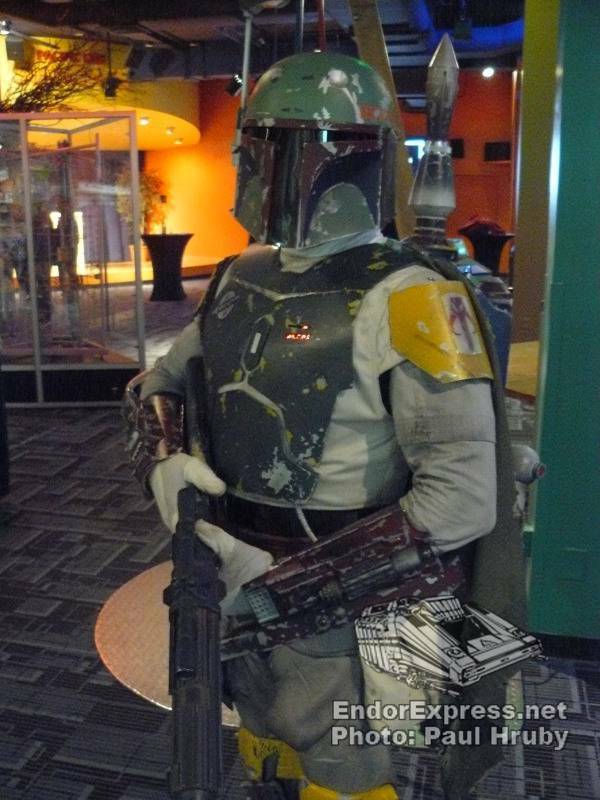 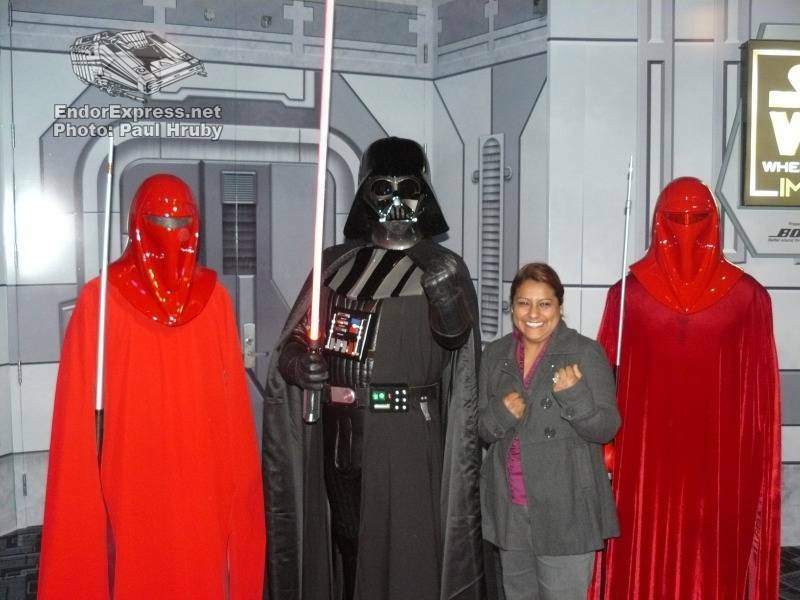 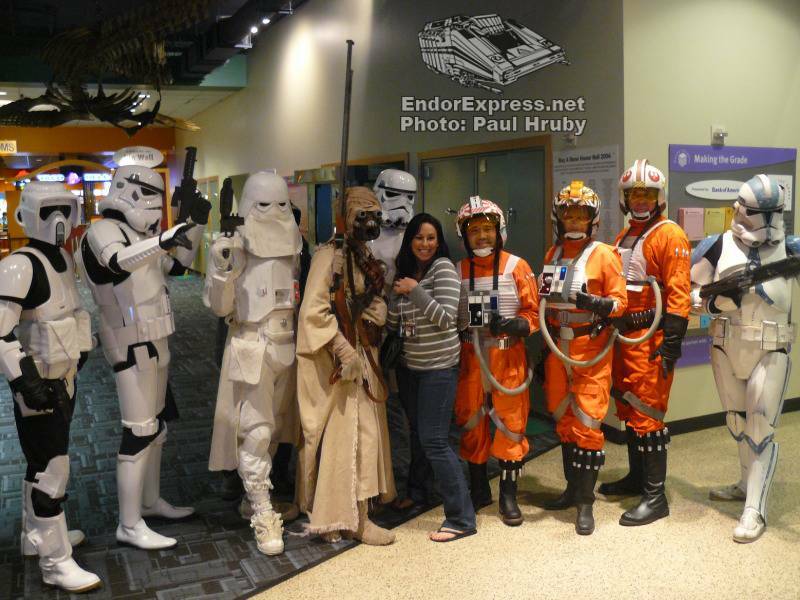 Before previewing the new exhibit, guests met and took pictures with members of the 501st Legion. 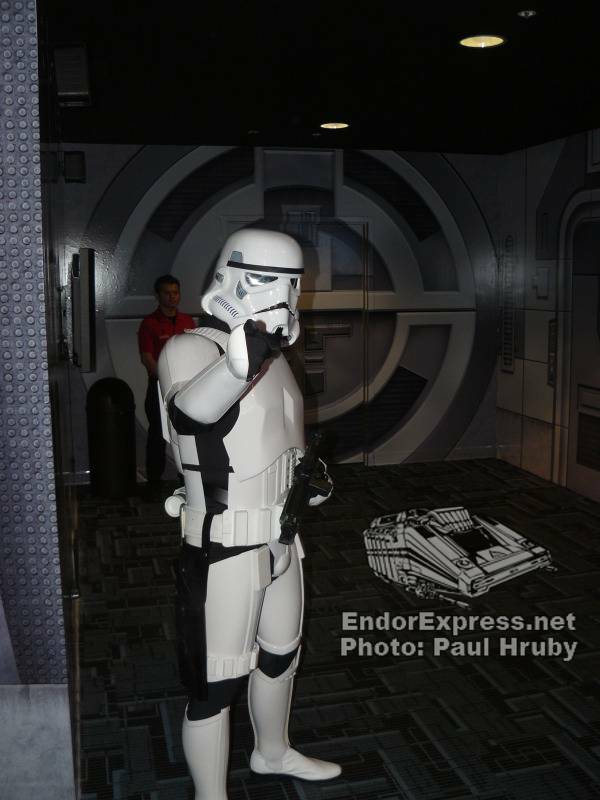 Kids got to meet Darth Vader and his Stormtroopers. 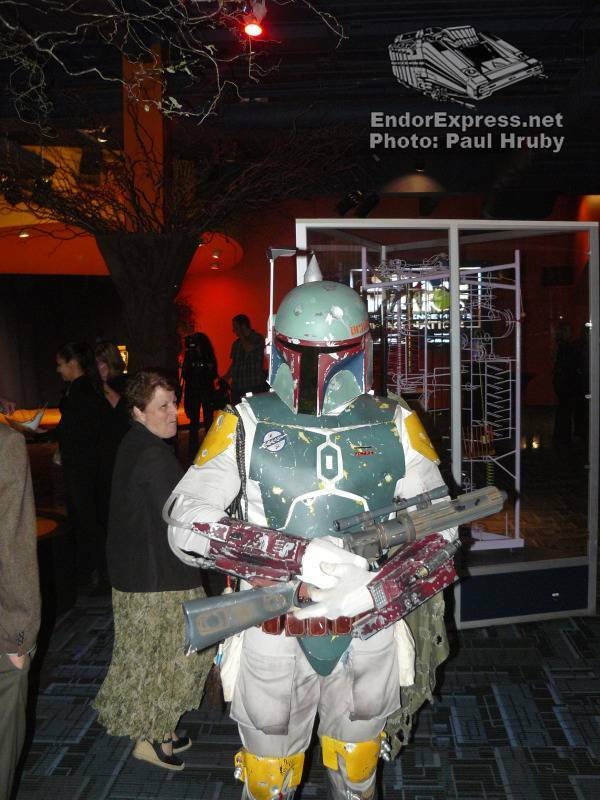 Bounty hunters were everywhere. 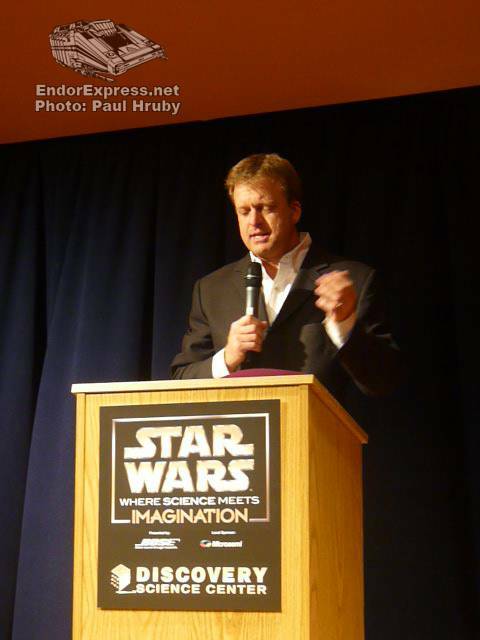 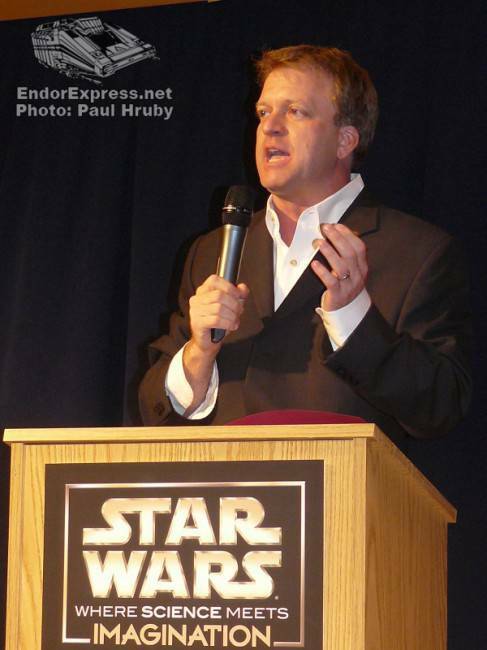 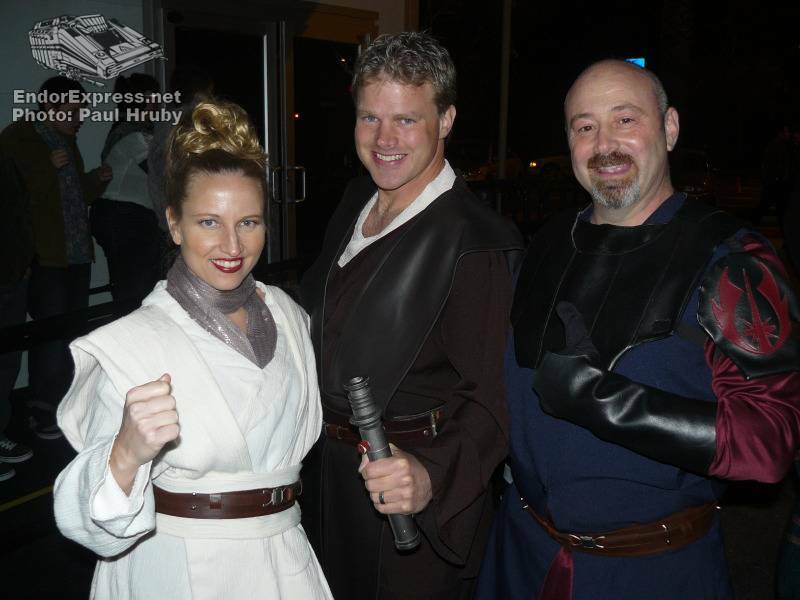 Fortunately there were plenty of rebel pilots and Jedi on hand for the event as well. 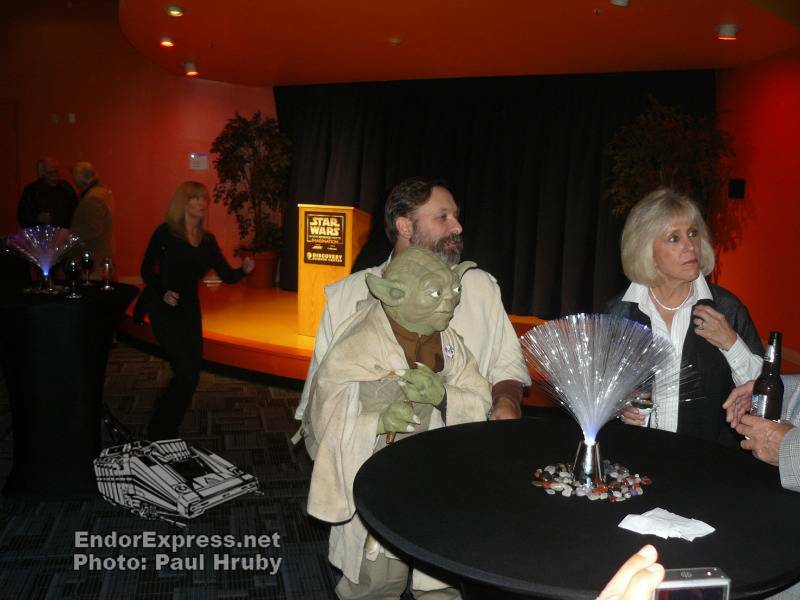 Obi-Shawn Kenobi and Yoda were there teaching young padawans lightsaber moves in from of the gift shop. 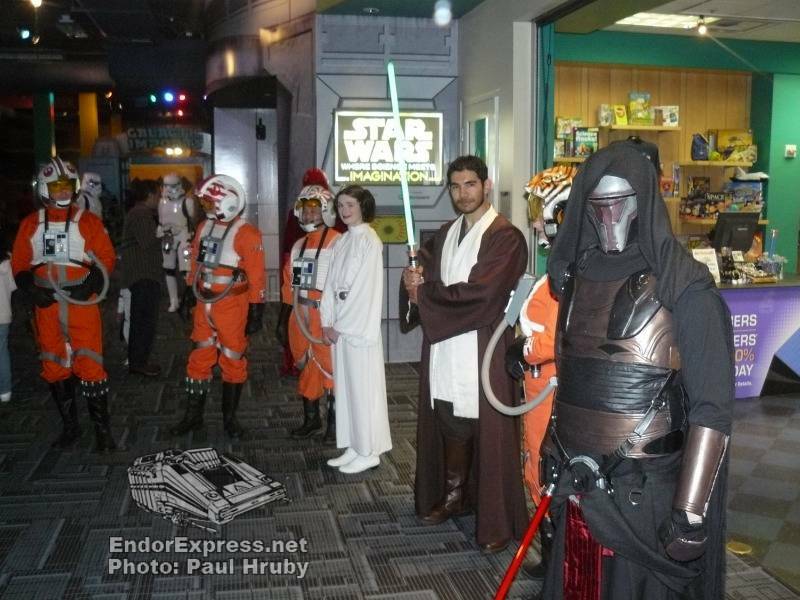 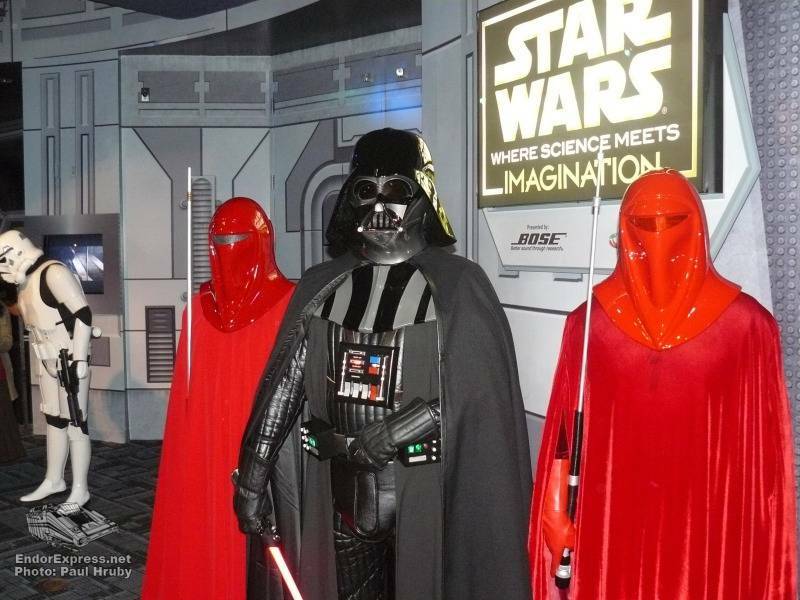 Imperial guards were guarding the entrance to the two new galleries. 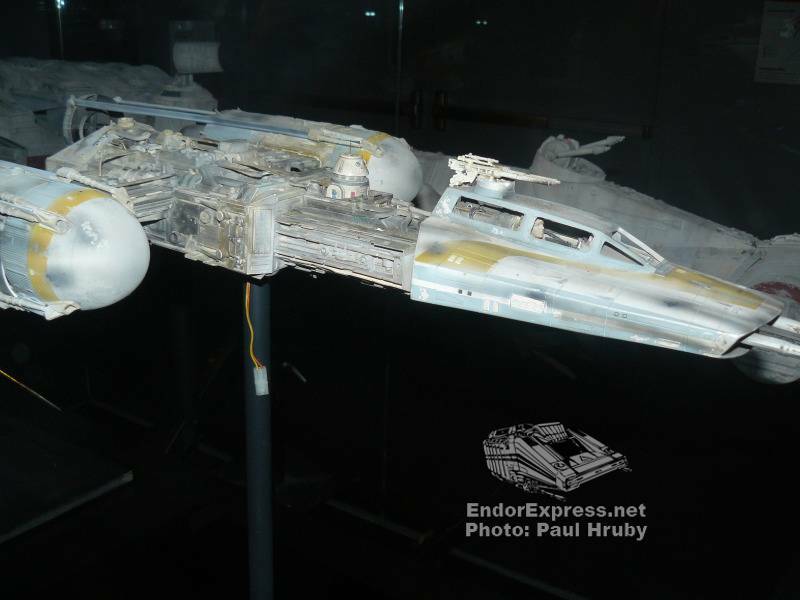 Once we were let in, we were greeted by a four foot model of the Millennium Falcon. 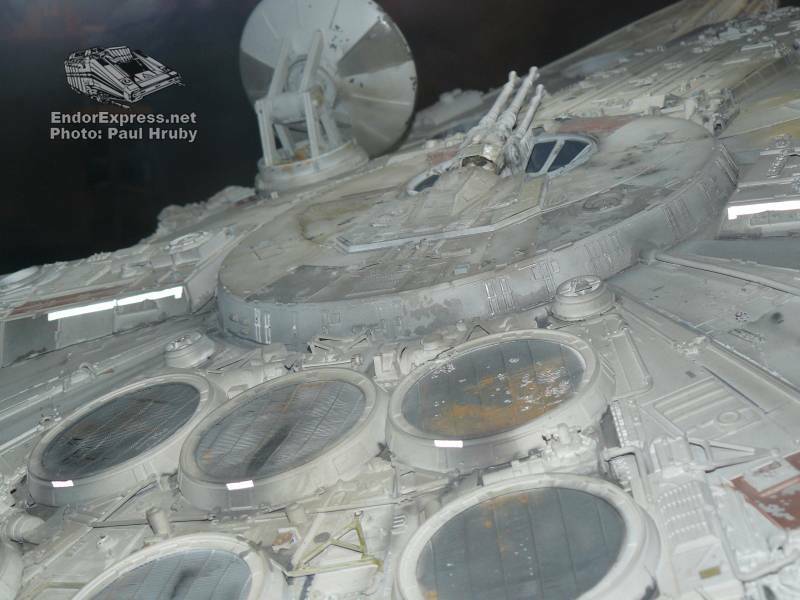 It’s amazing how much detail there is to the ship. 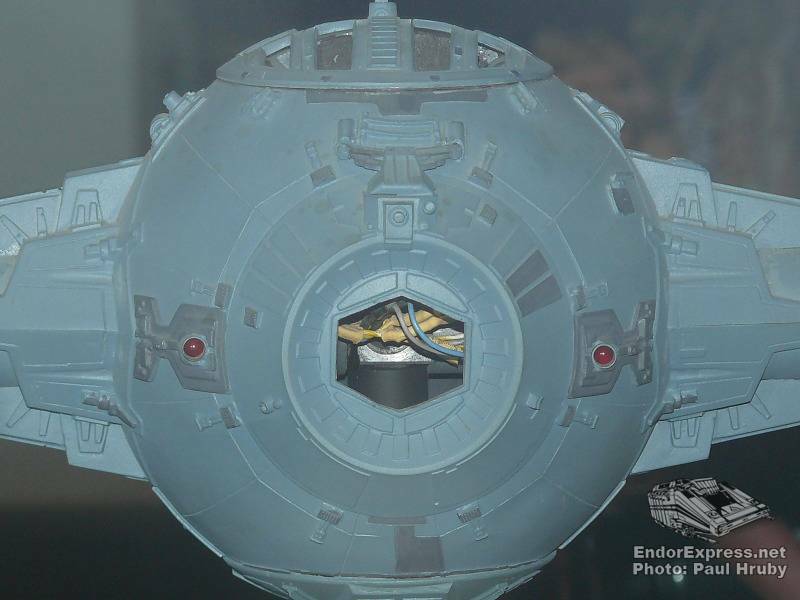 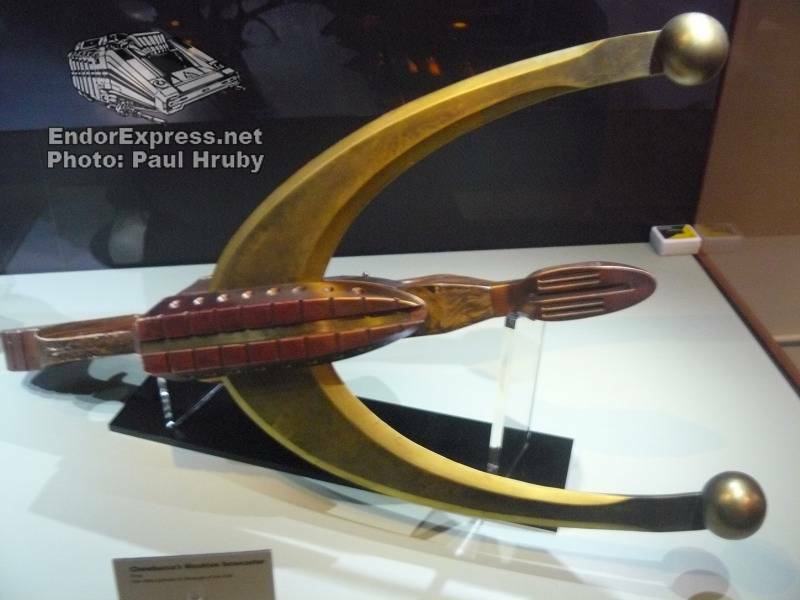 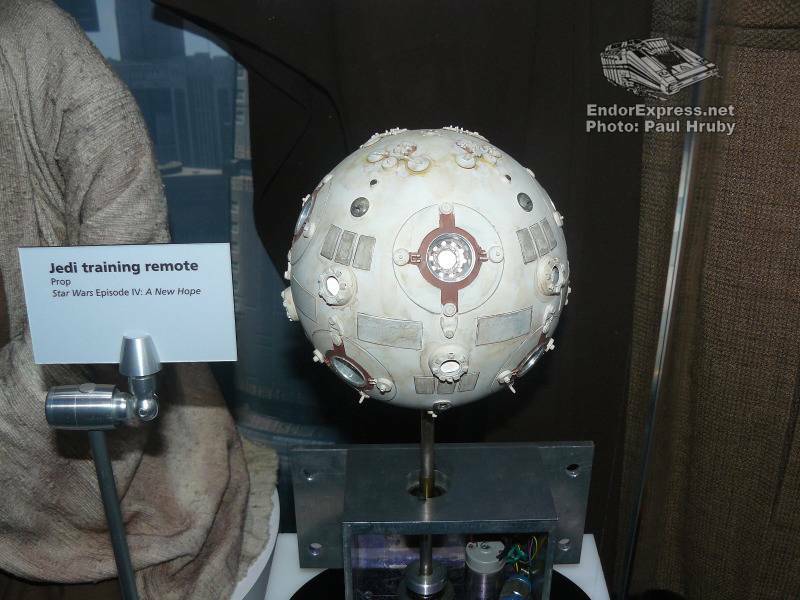 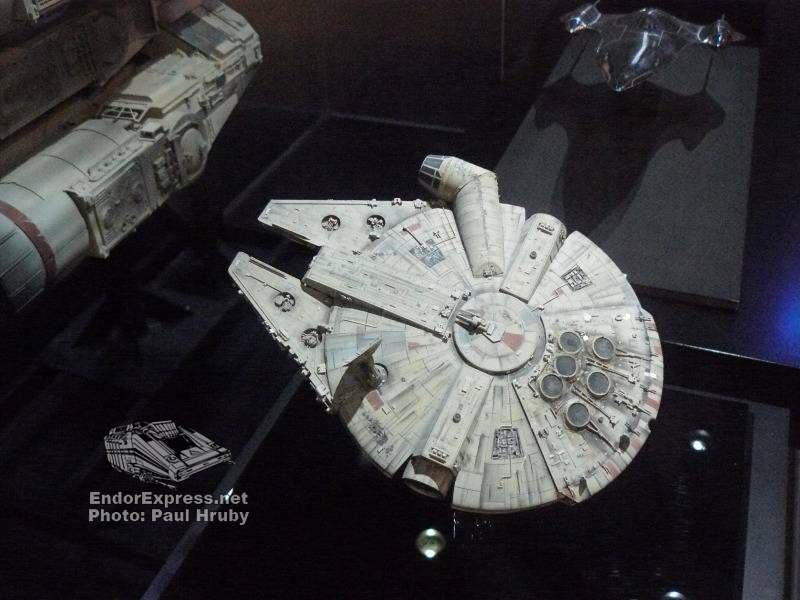 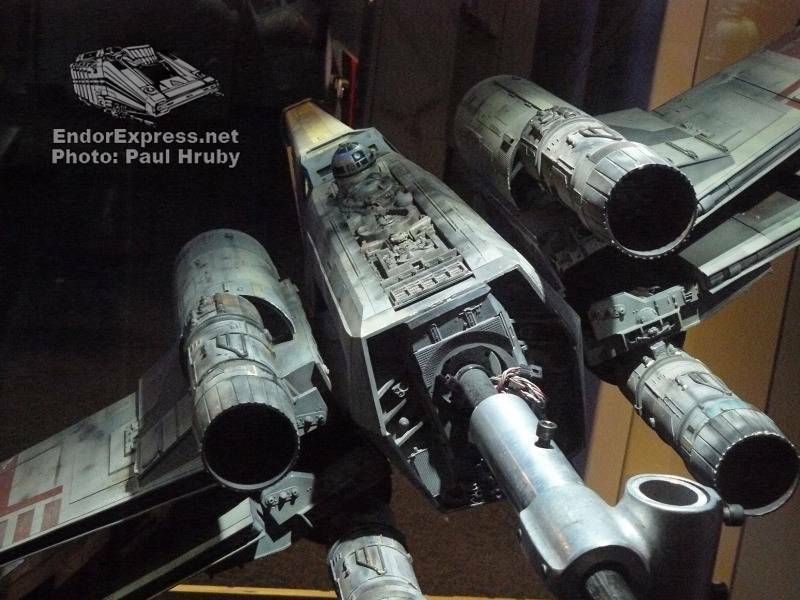 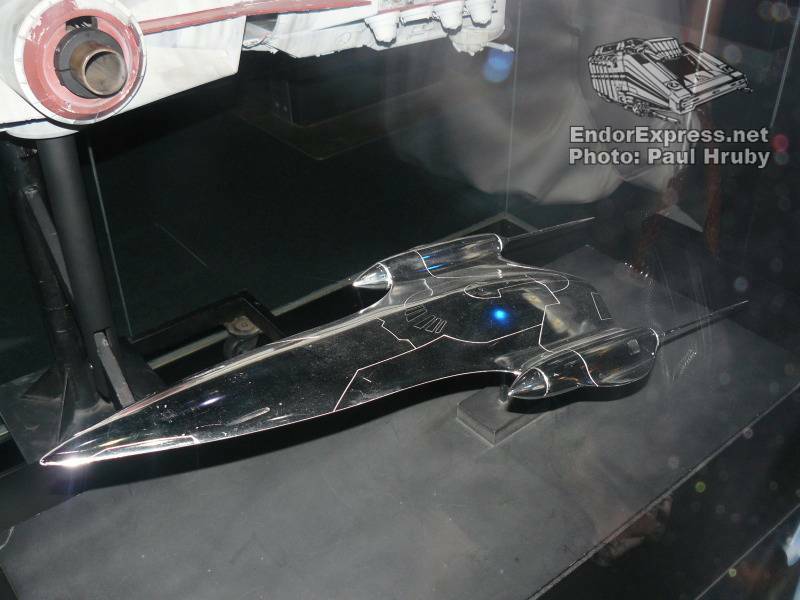 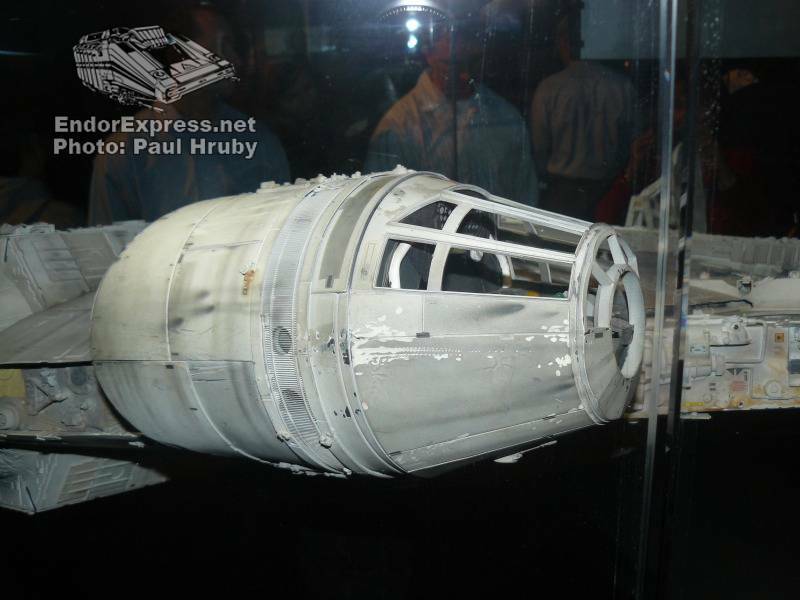 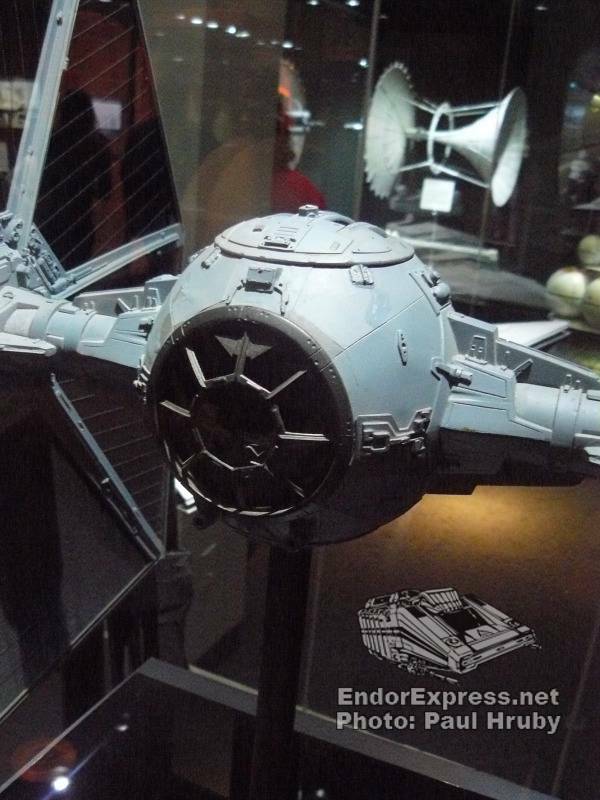 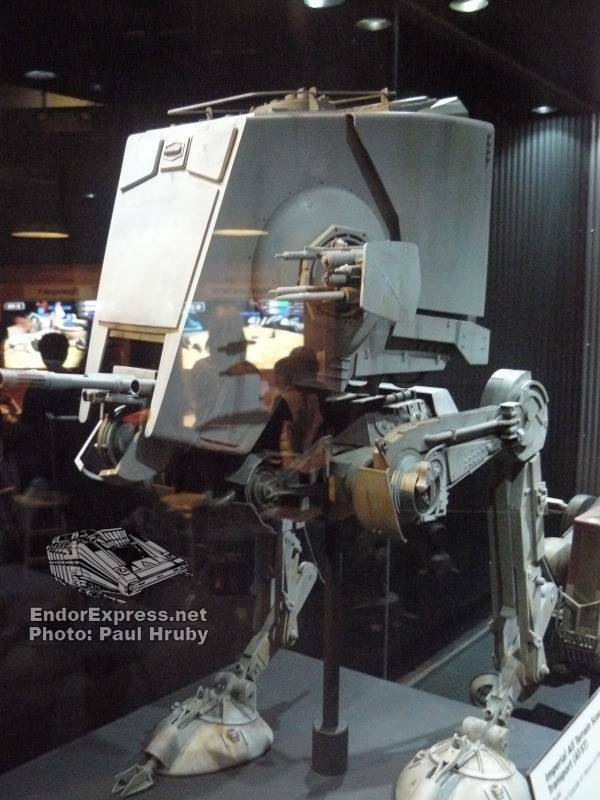 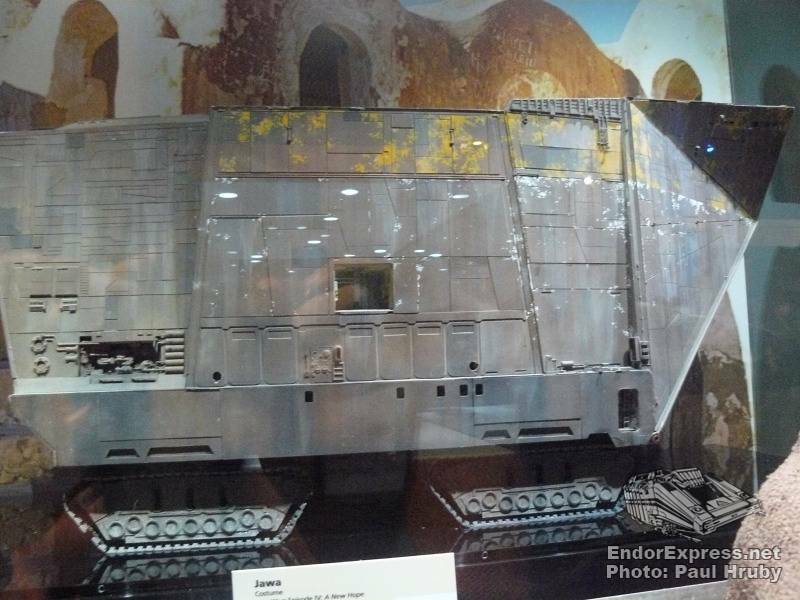 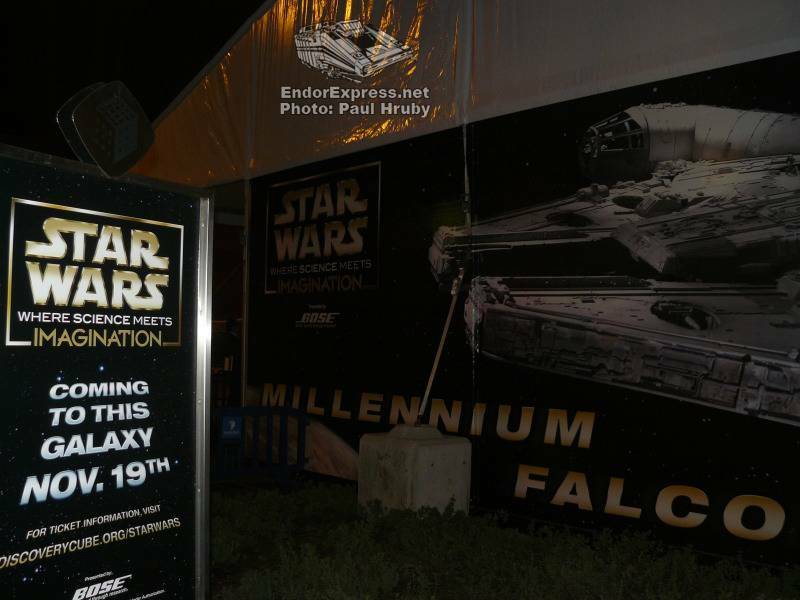 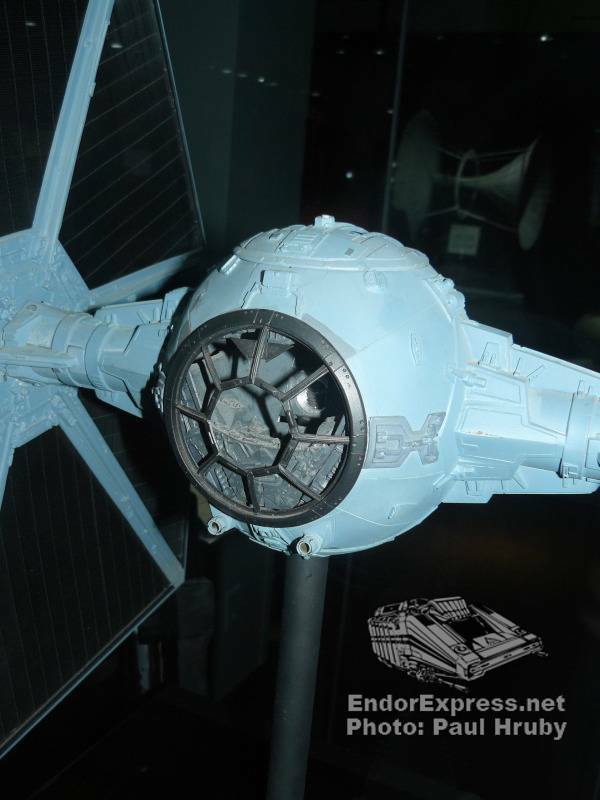 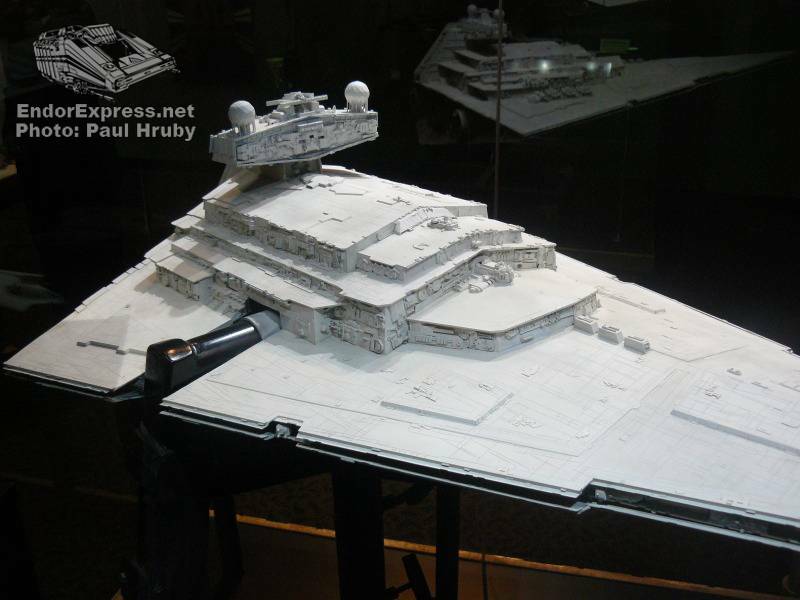 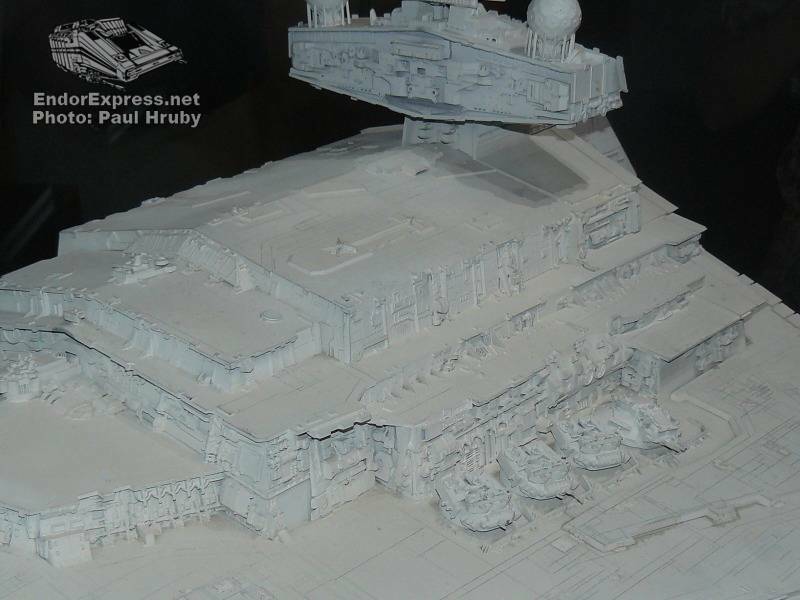 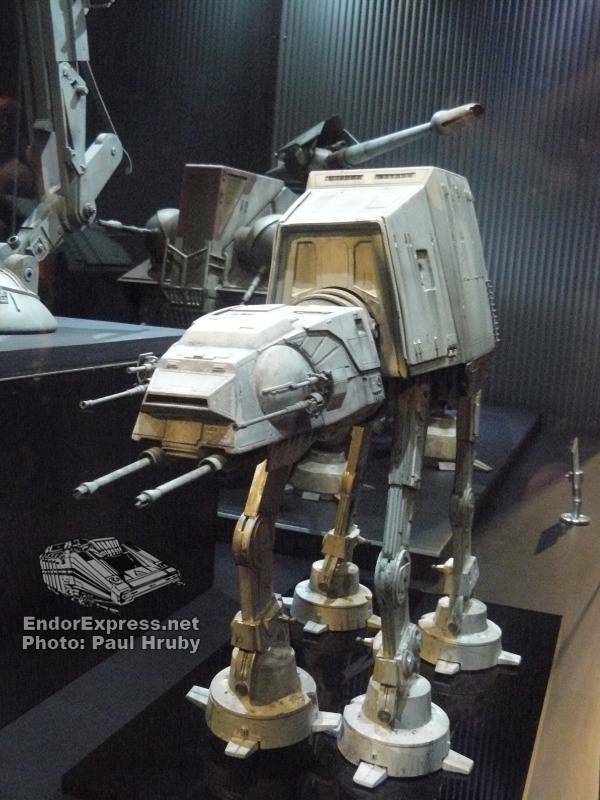 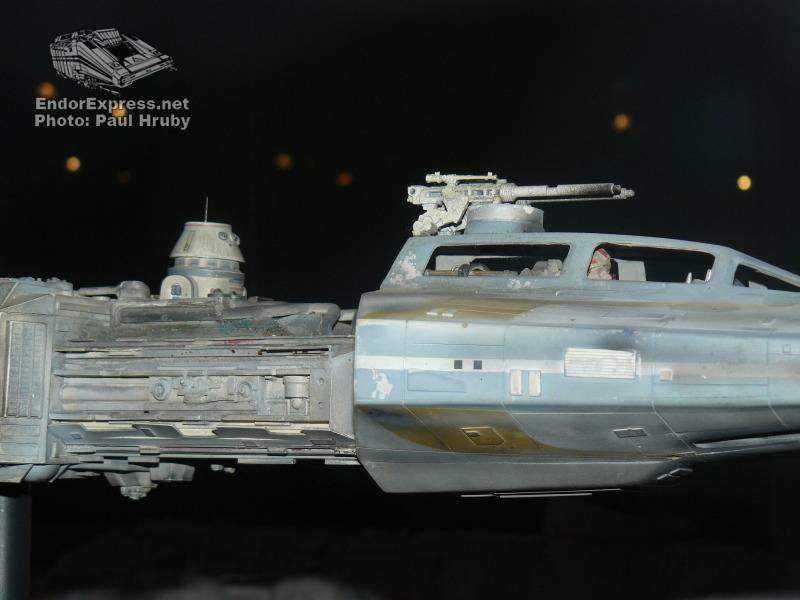 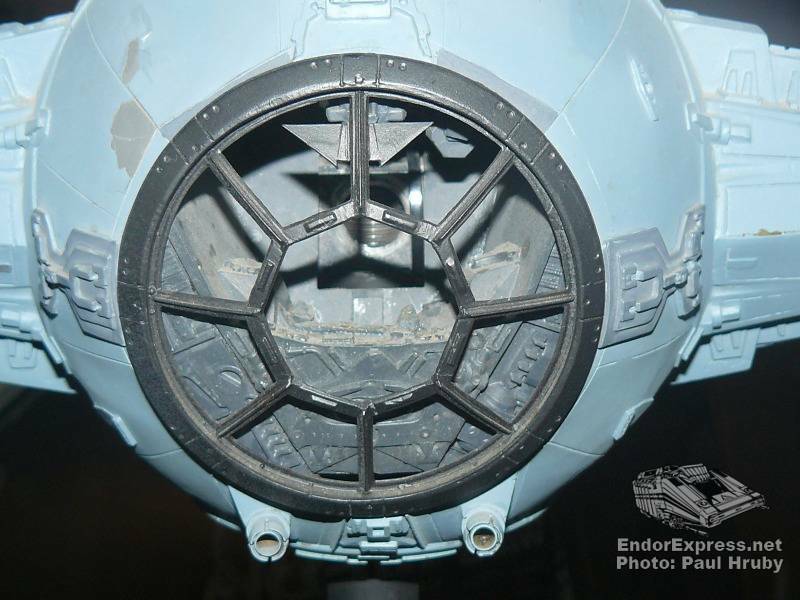 Other ships like the rebel blockade runner, a Y-Wing and Luke’s X-Wing were on display. 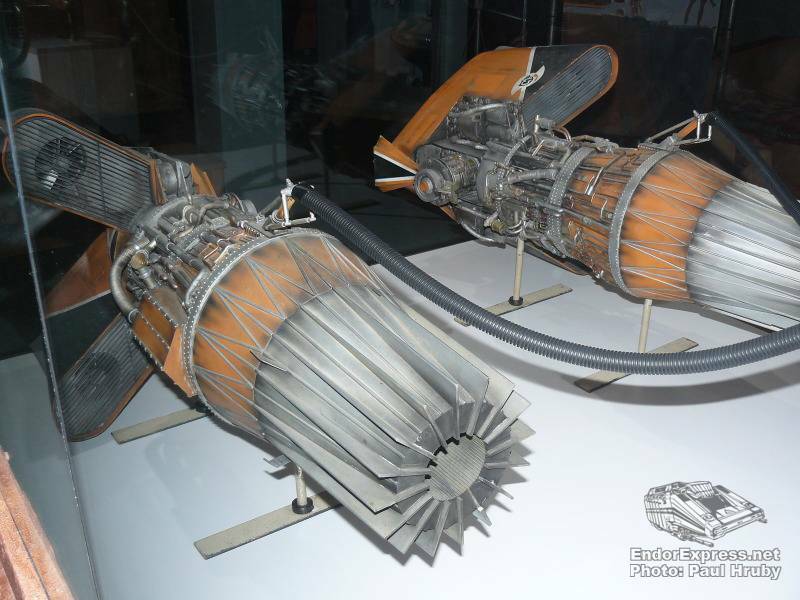 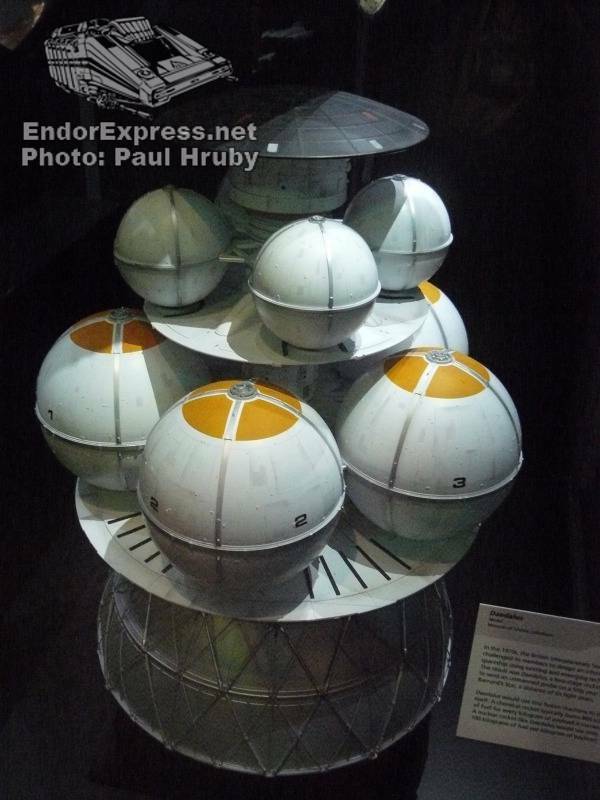 NASA also had some of its models of future spacecraft on display too. 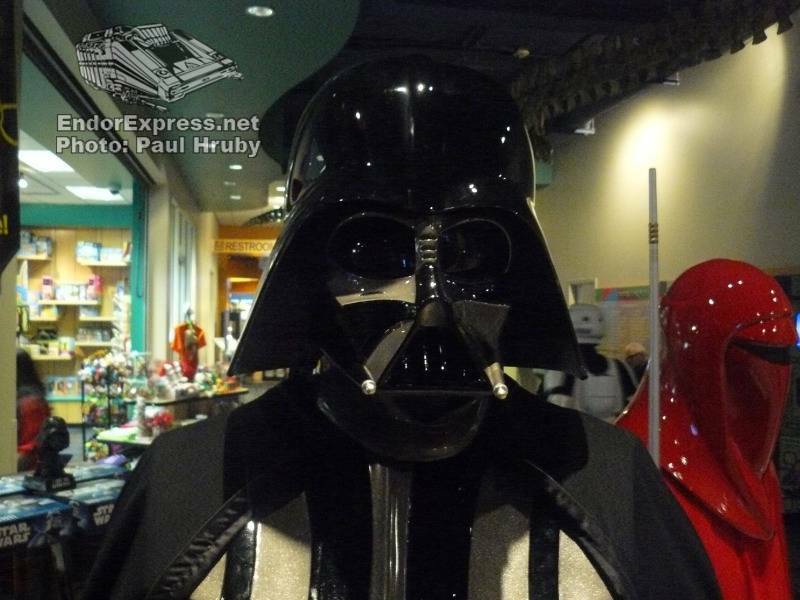 There were many costumes on display. 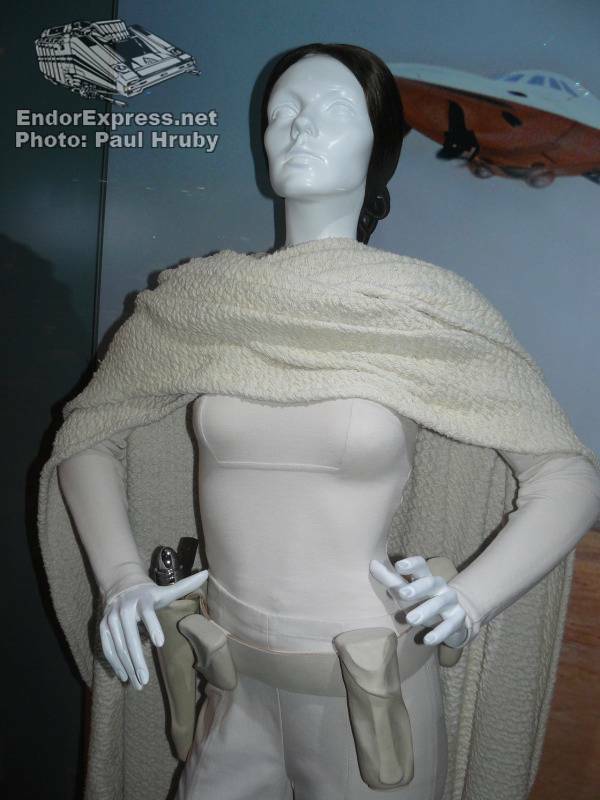 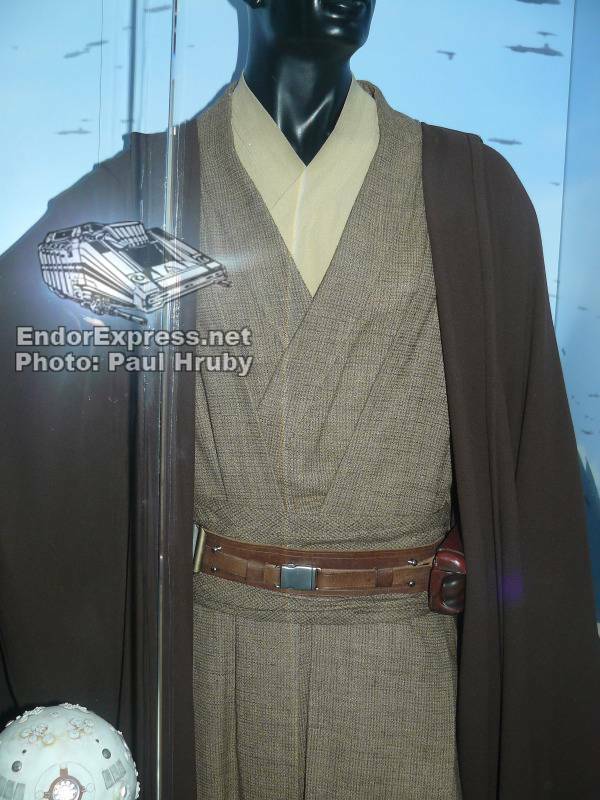 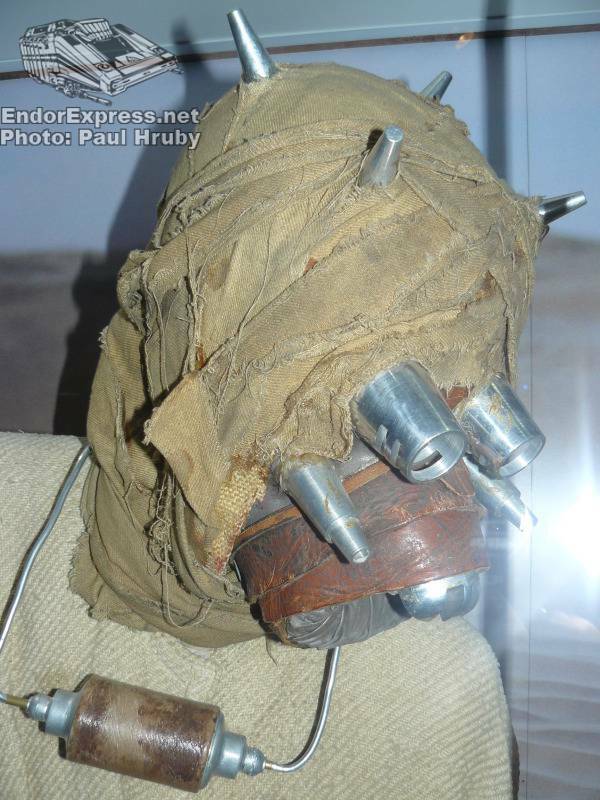 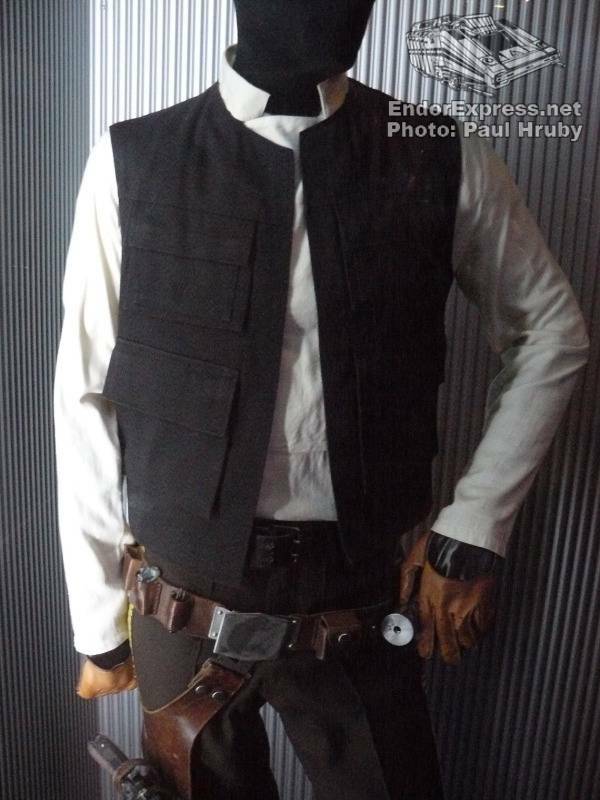 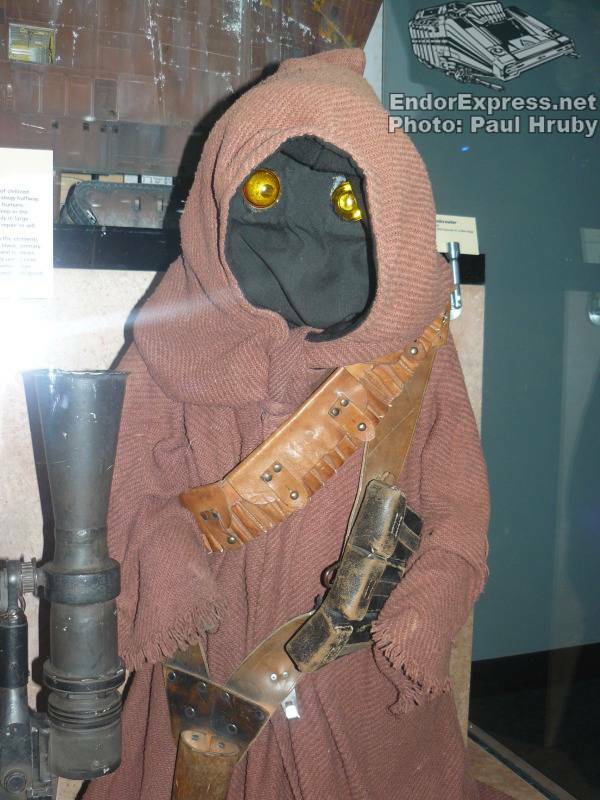 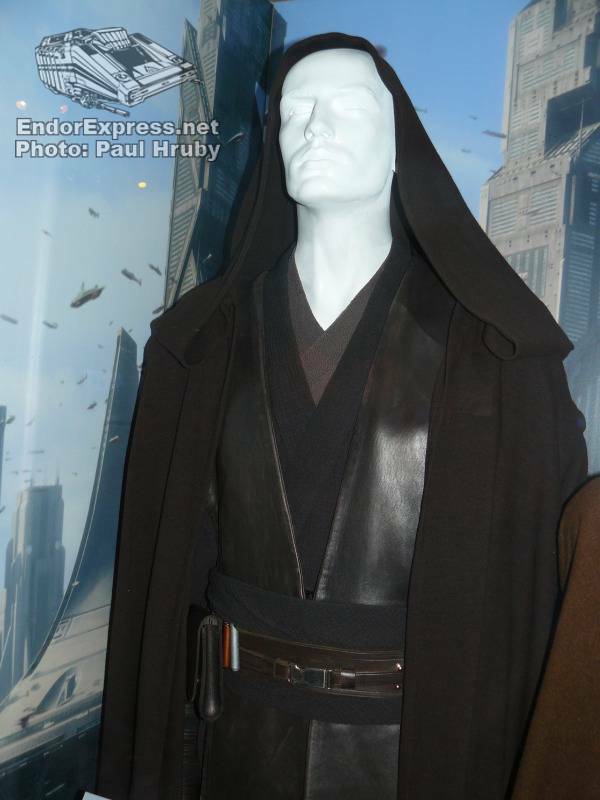 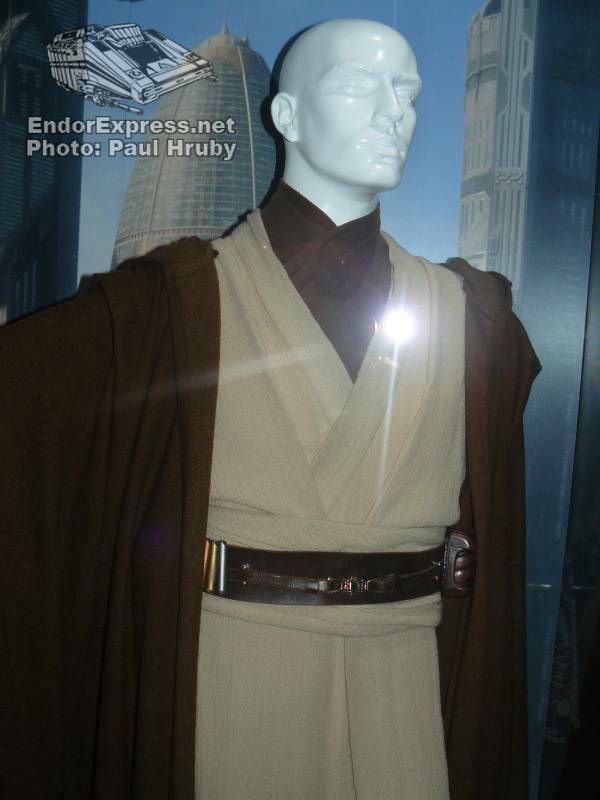 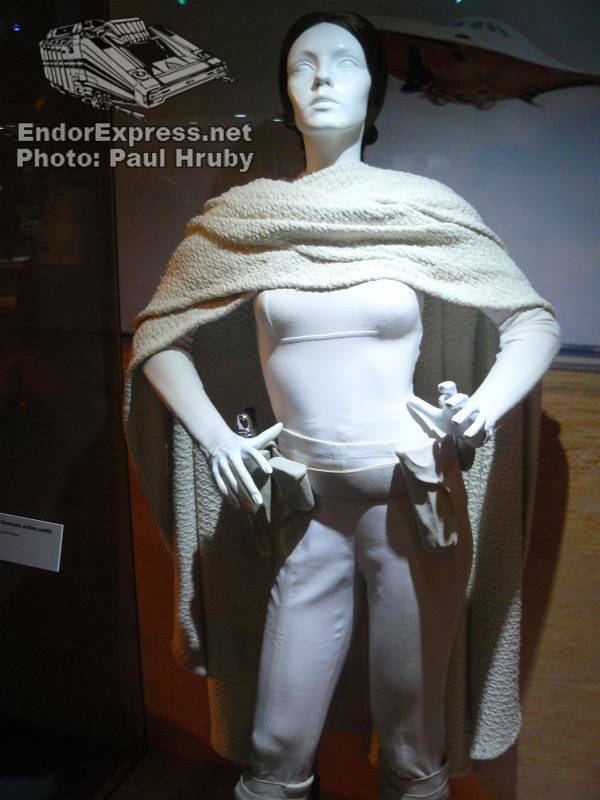 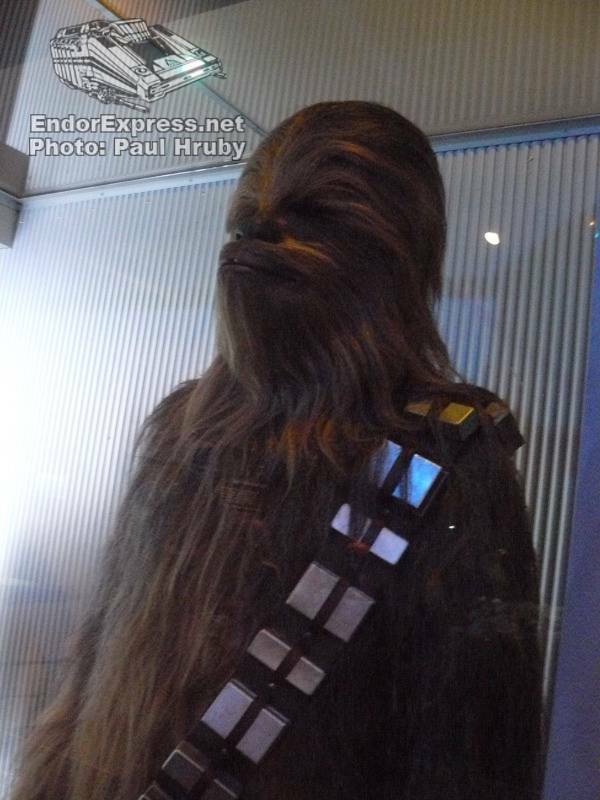 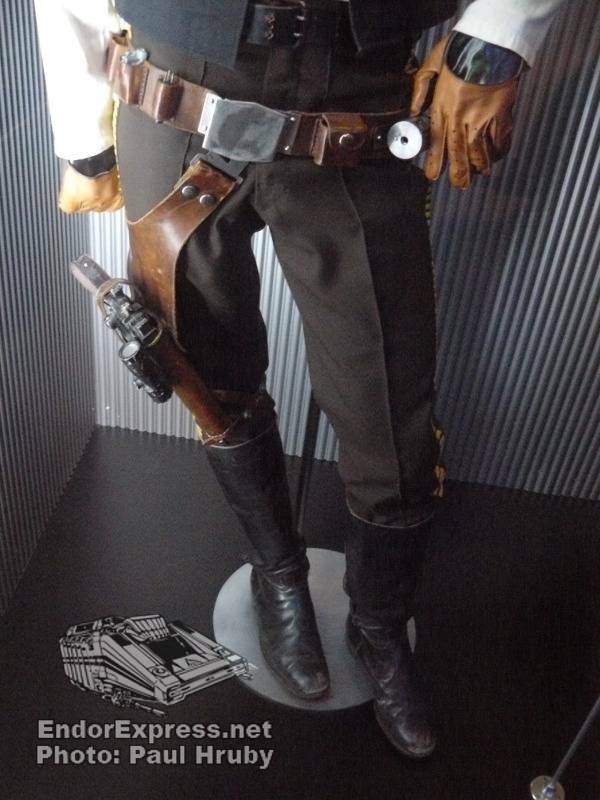 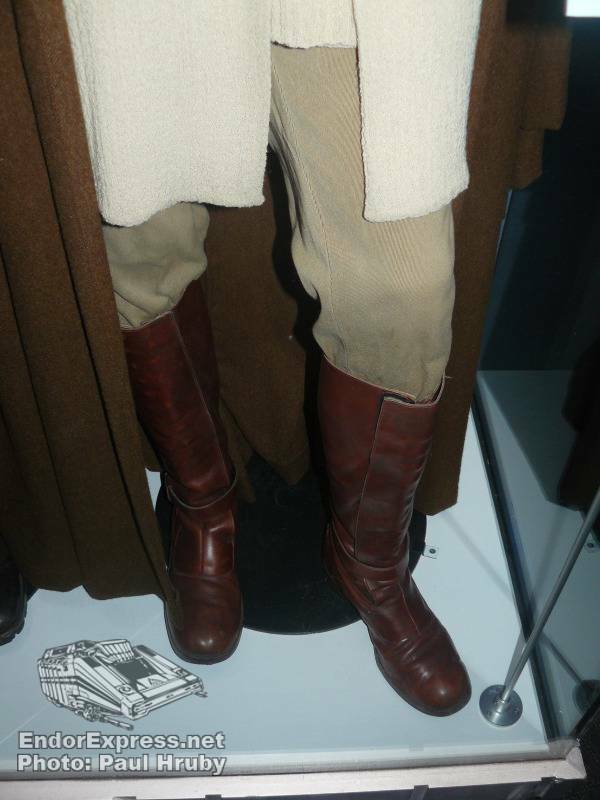 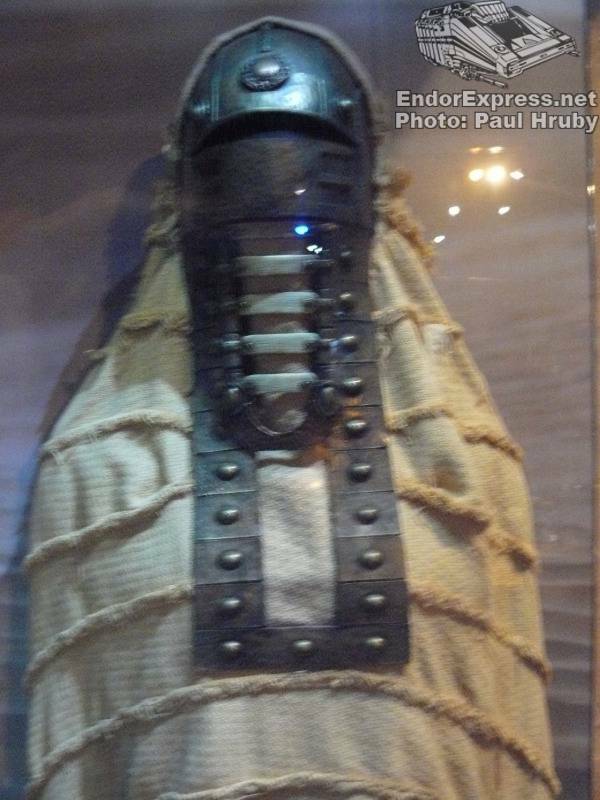 I saw the Han Solo and Chewbacca costume as well as Obi-Wan Kenobi and Anakin Skywalker’s Jedi robes. 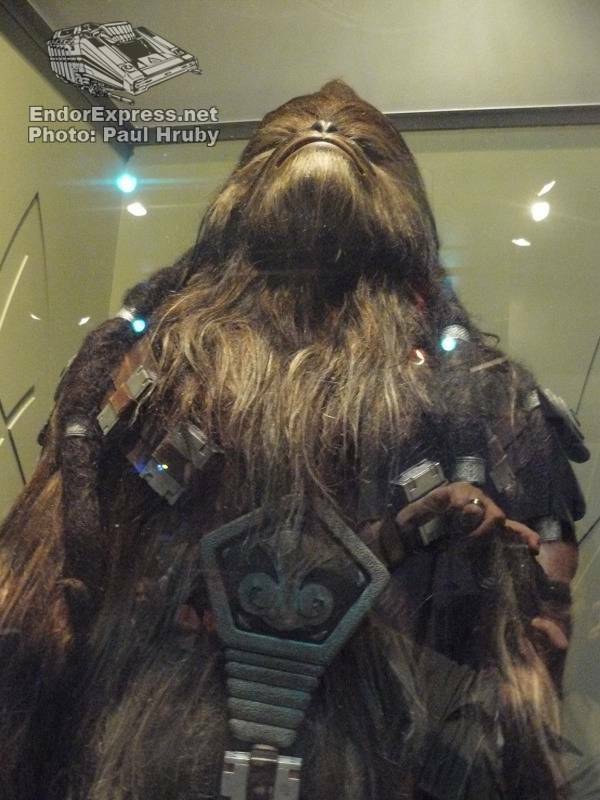 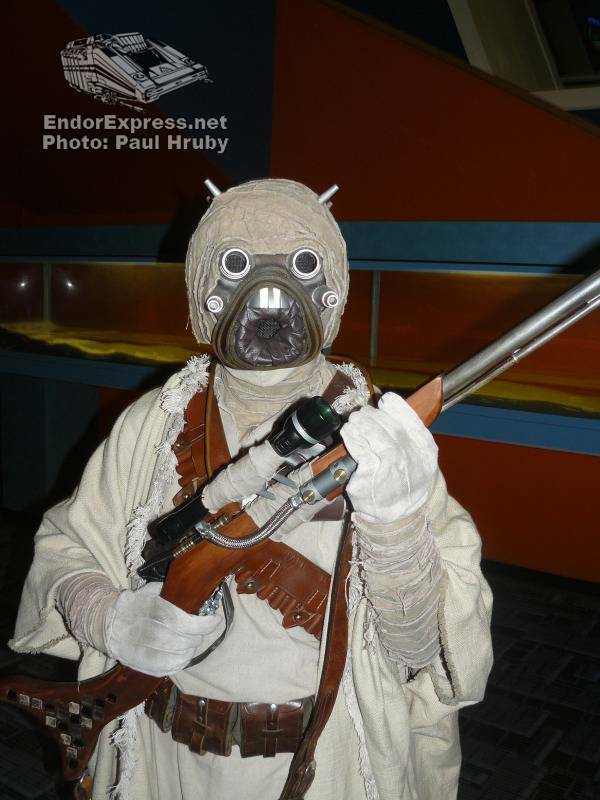 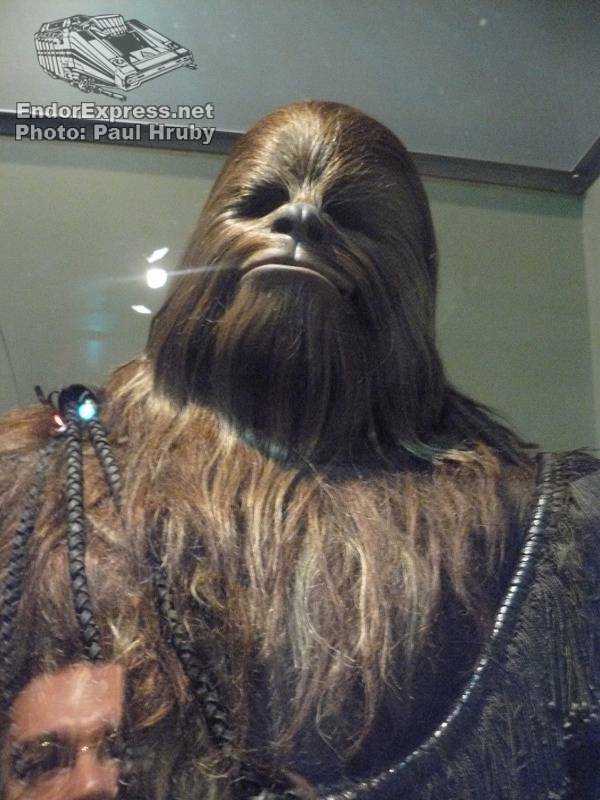 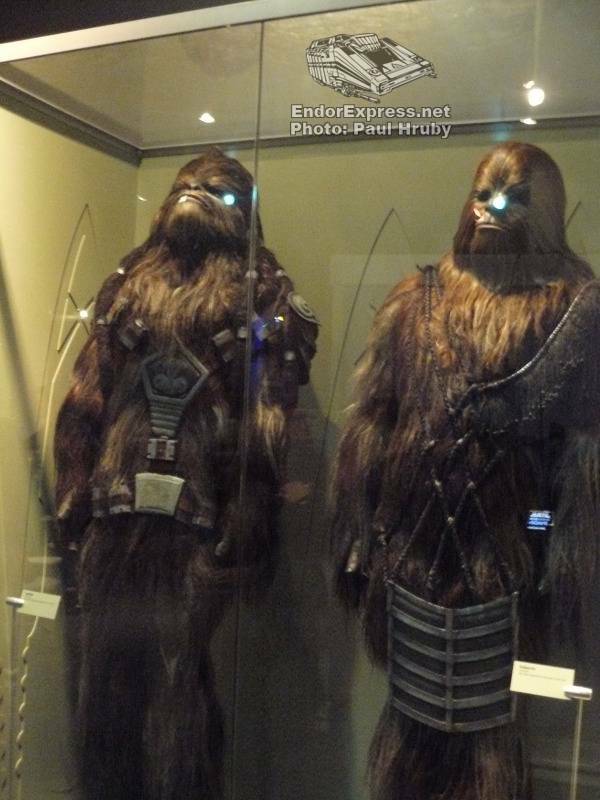 They also had two wookiee costumes from Revenge of the Sith. 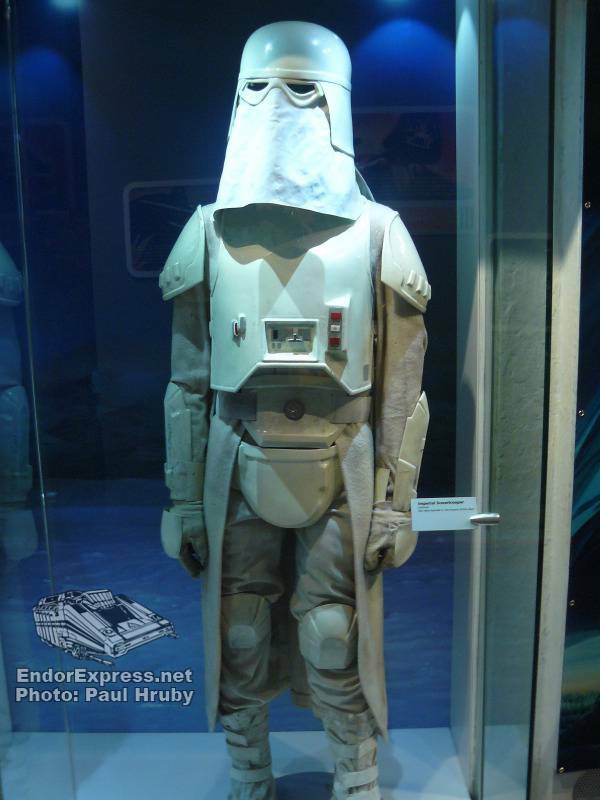 It’s amazing how tall those costumes were! 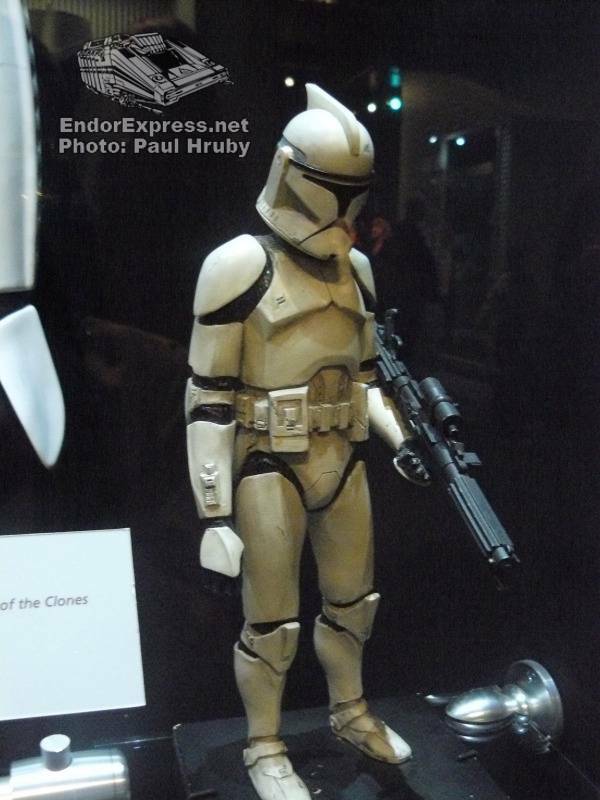 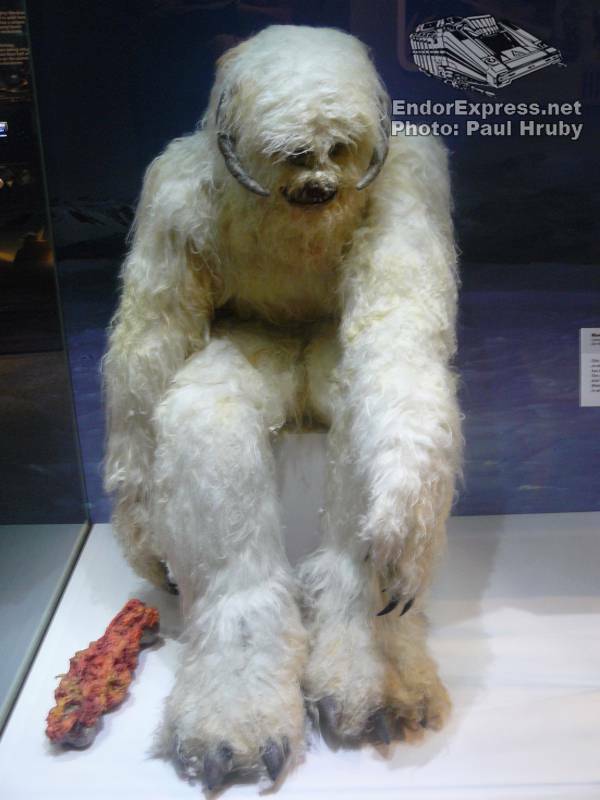 Stormtrooper, Snowtrooper and a full size Wampa costumes were on display as well. 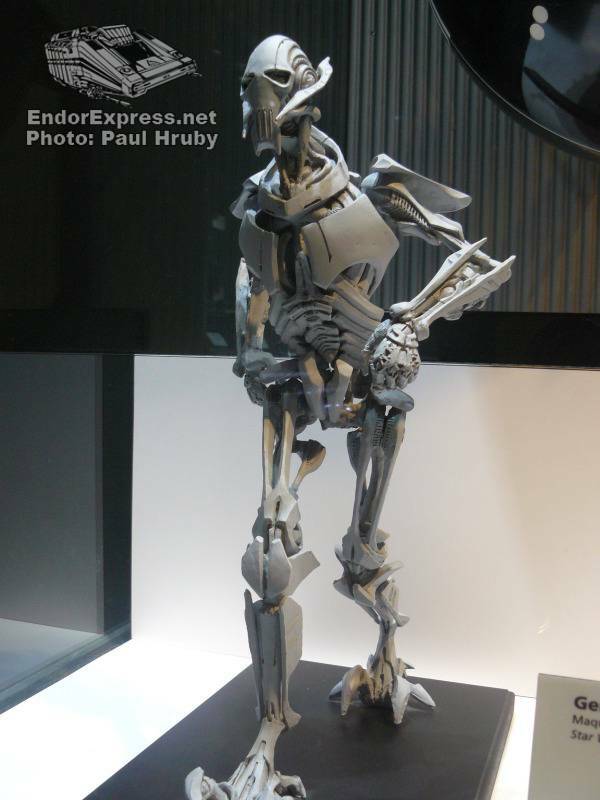 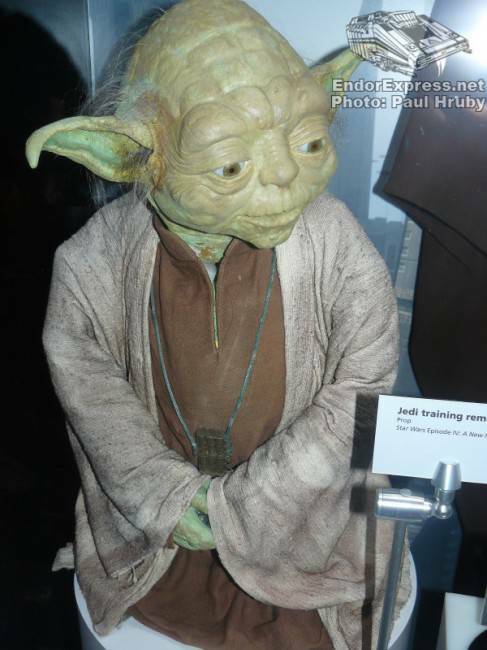 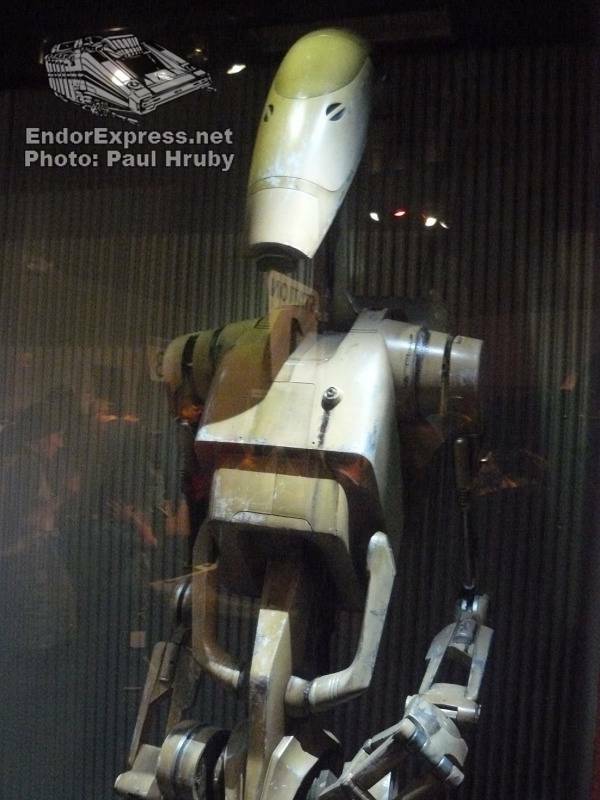 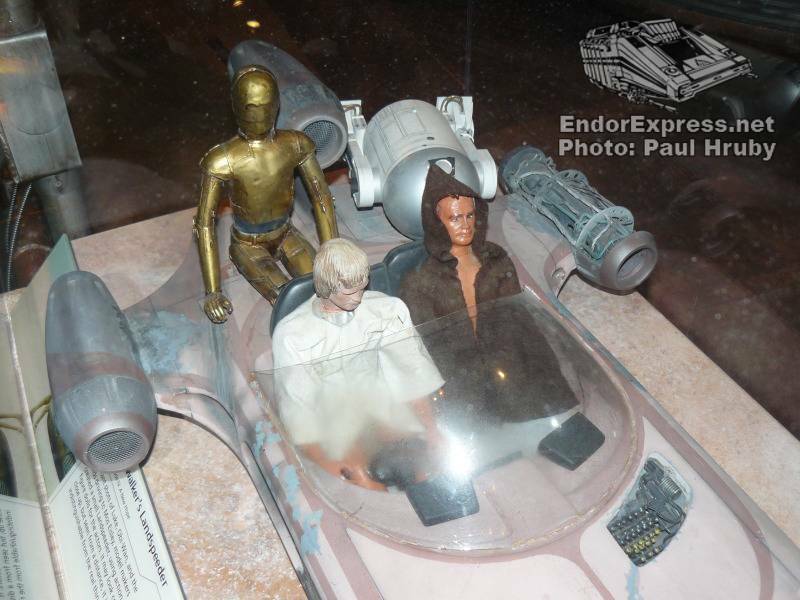 They even had a Destroyer Droid and the original Yoda puppet from The Empire Strikes Back! 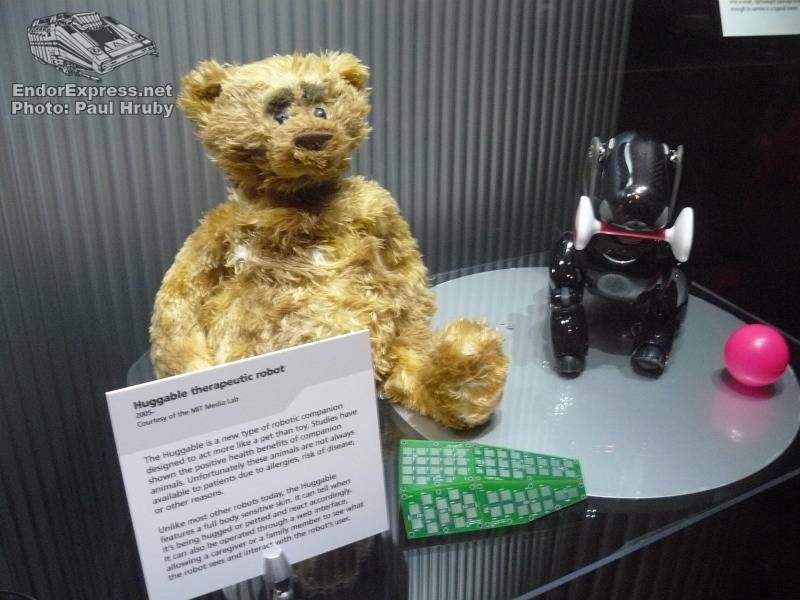 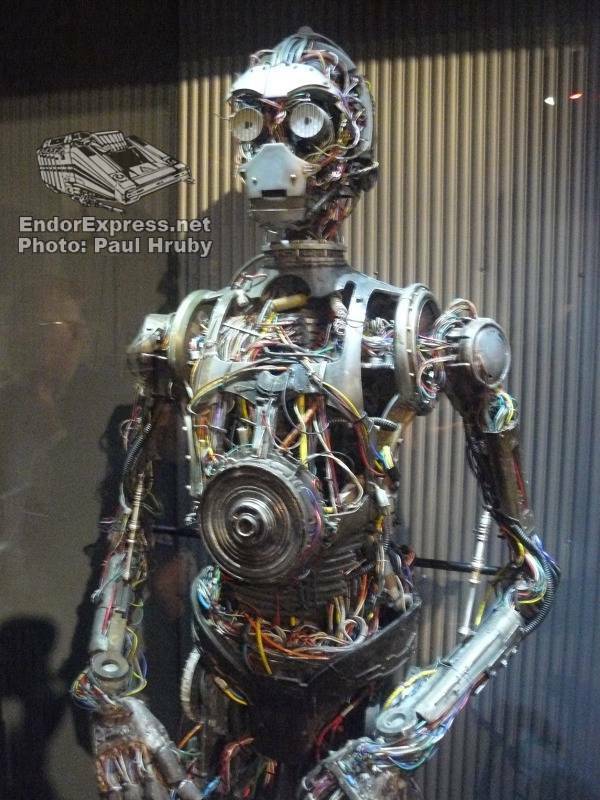 R2-D2 and C-3PO had a display where I could learn the many ways robots of today can match wits – or at least mobility – with their cinematic cousins. 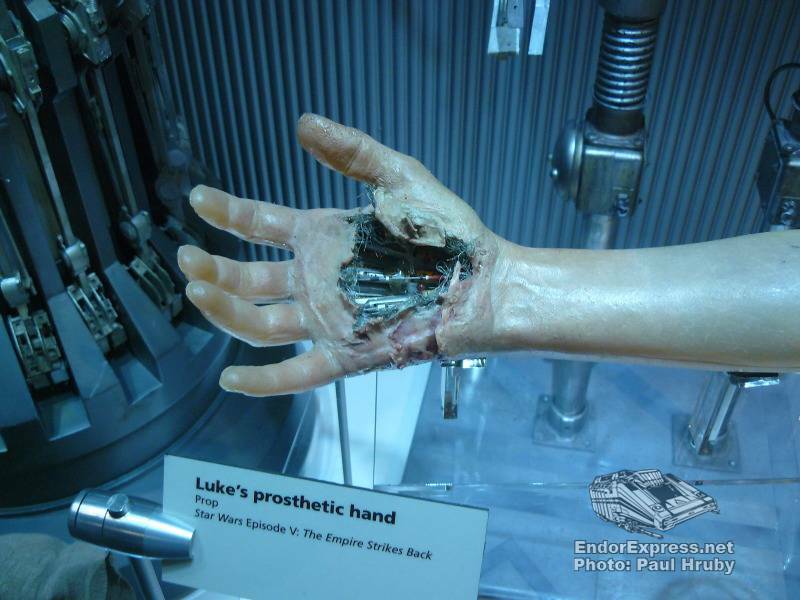 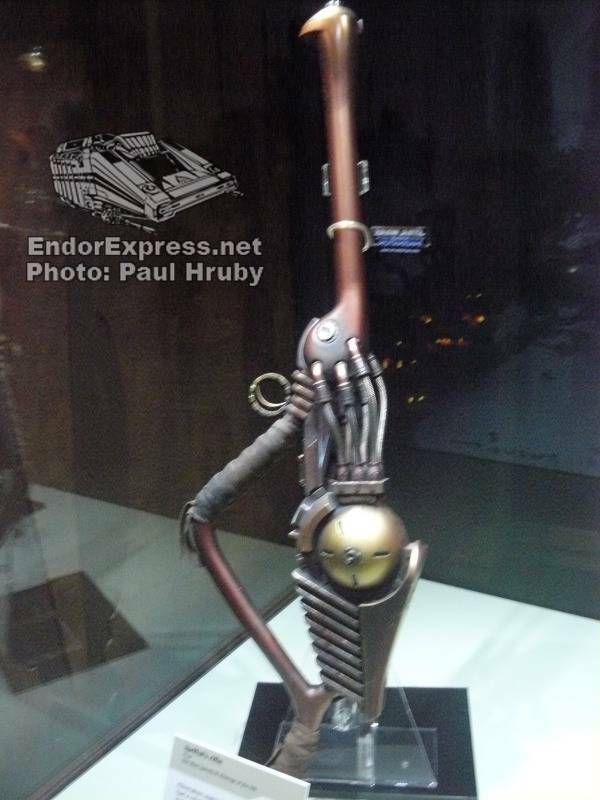 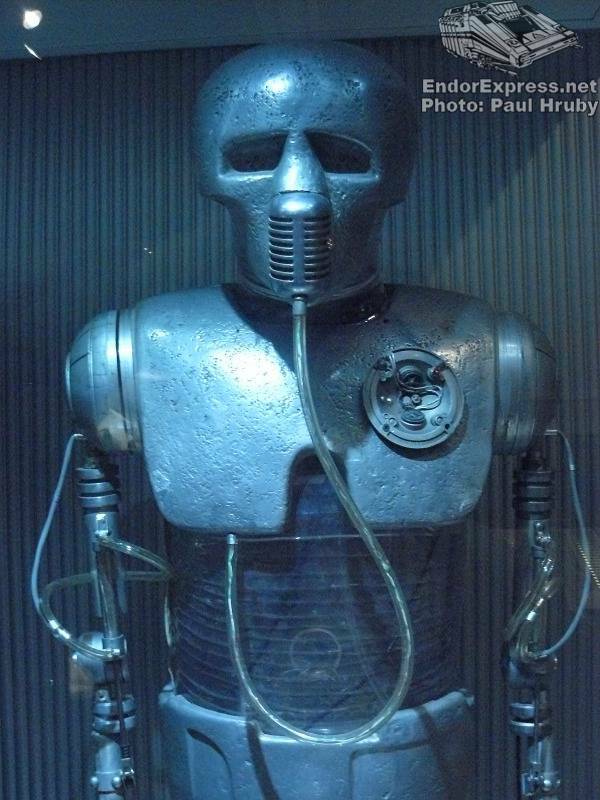 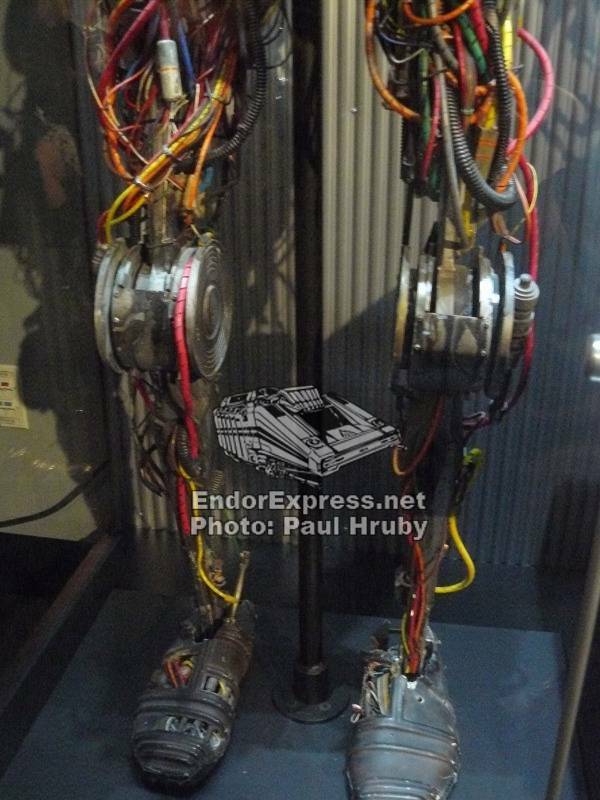 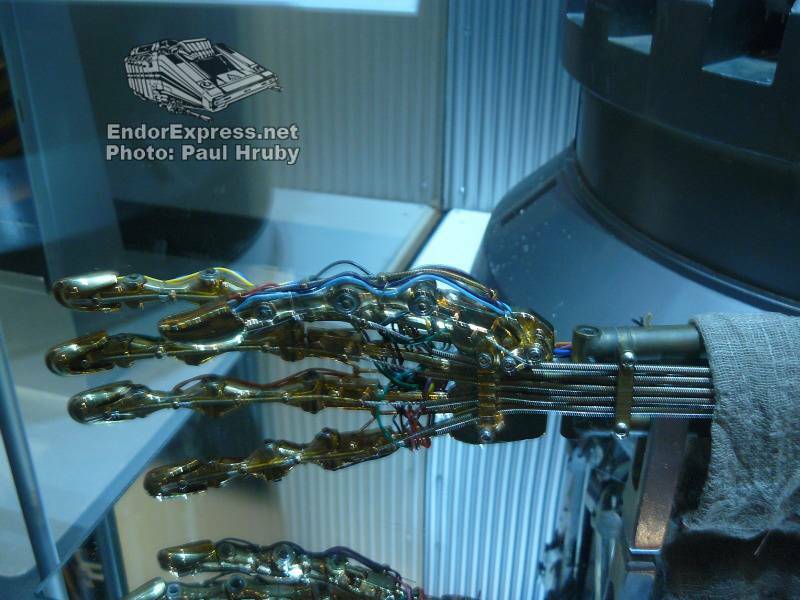 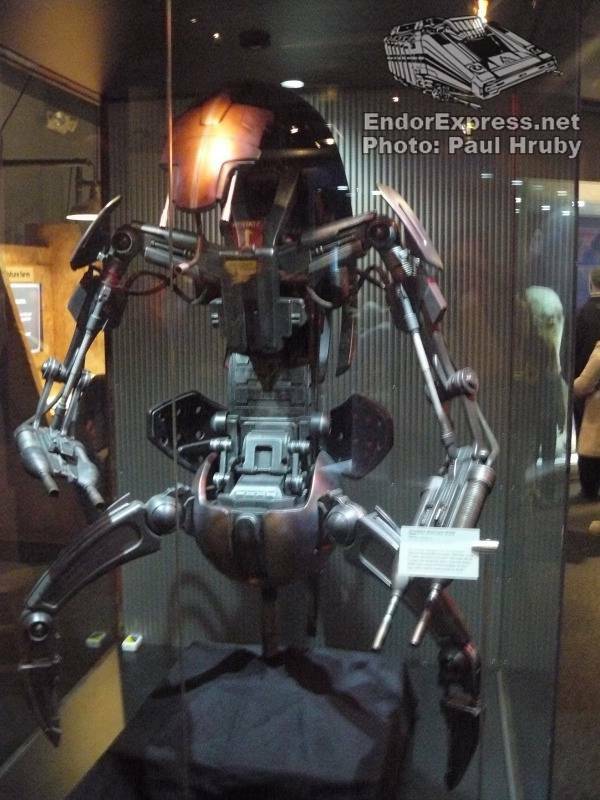 Darth Vader’s high-tech suit & helmet and Luke and Anakin’s robot hands were there next to an exhibit about the very real worlds of prosthetic limbs and supersensitive ears. 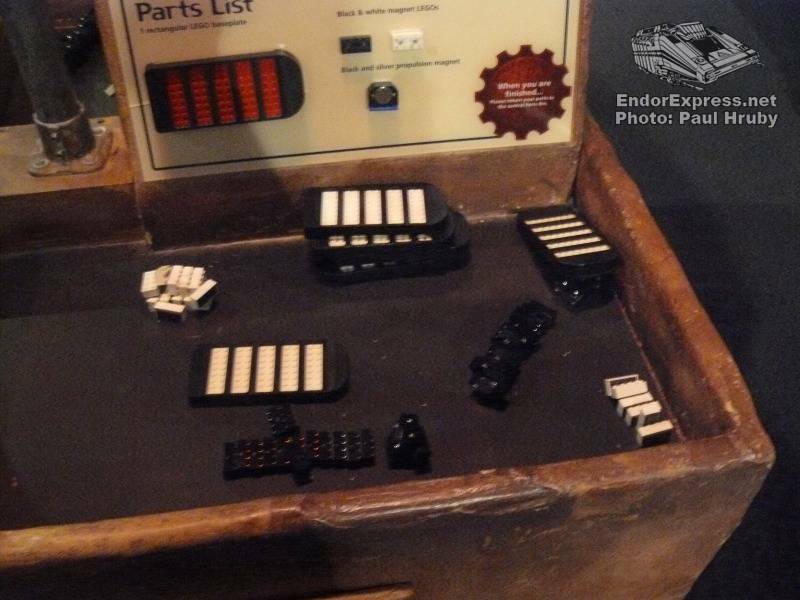 A computer activity put these enhancements to the test. 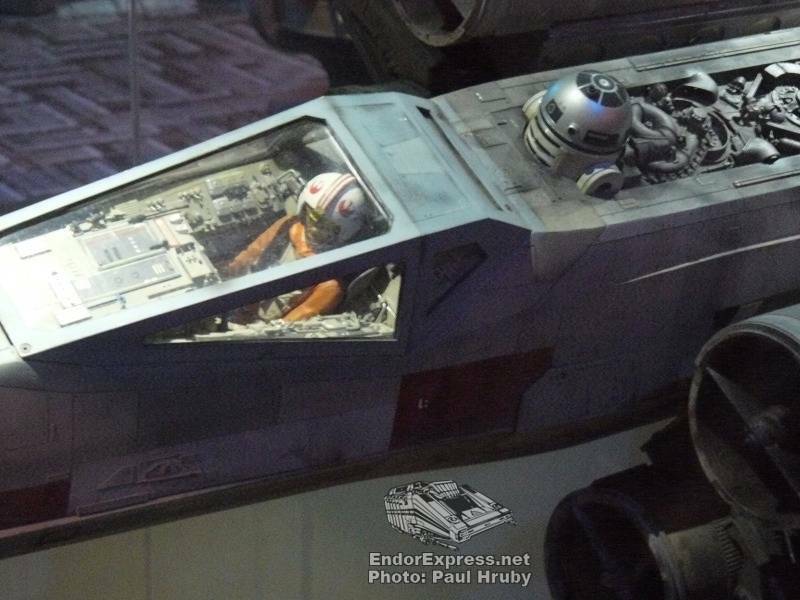 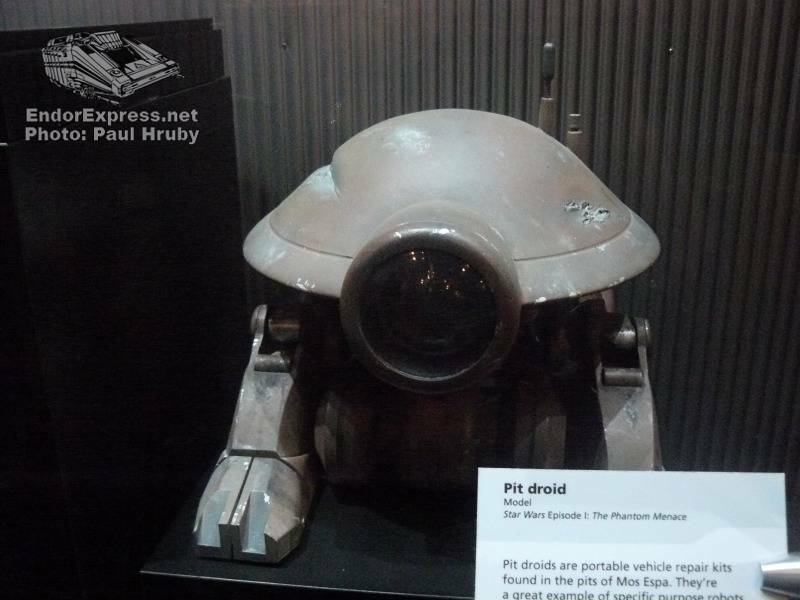 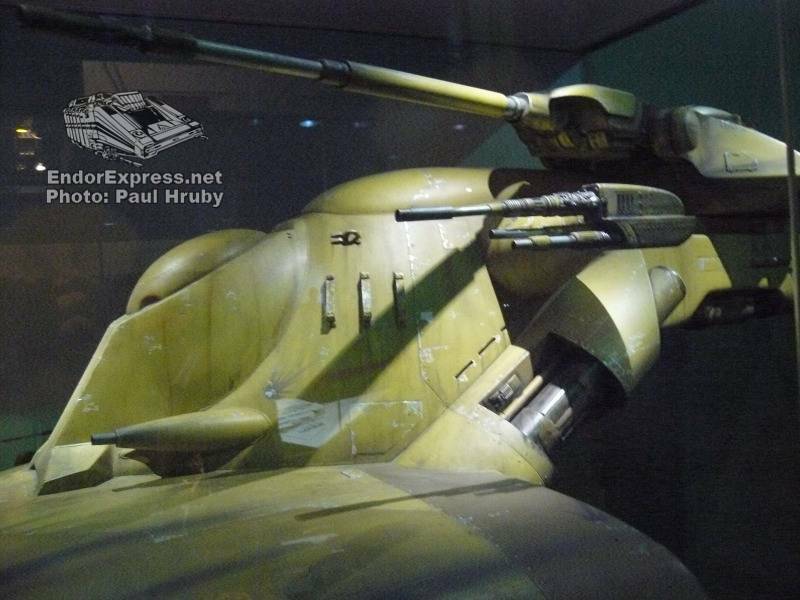 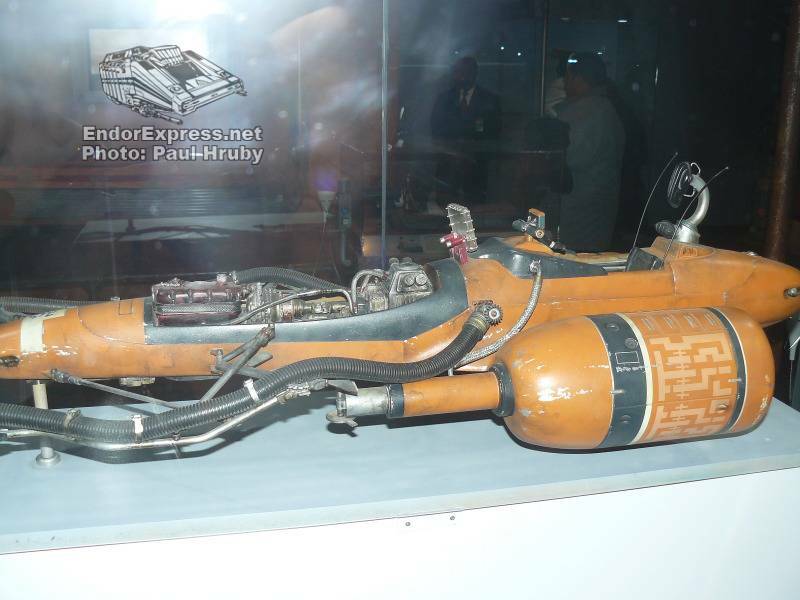 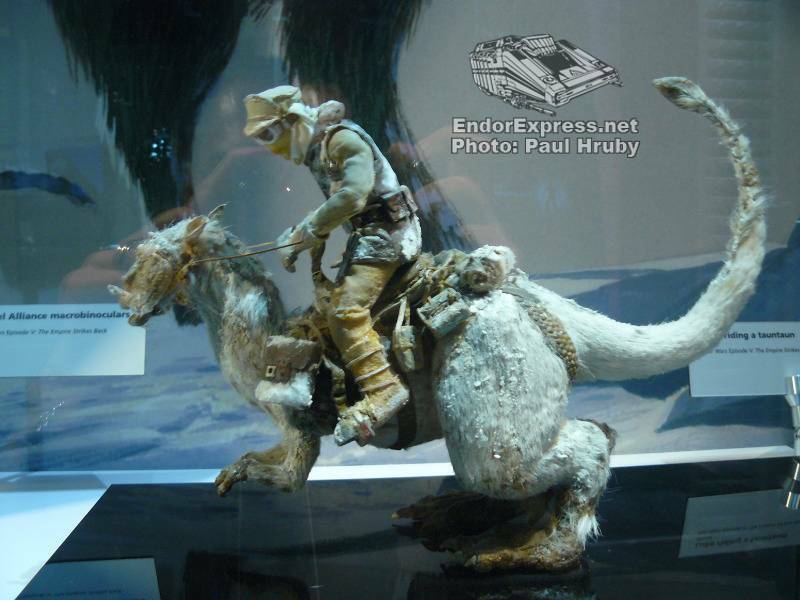 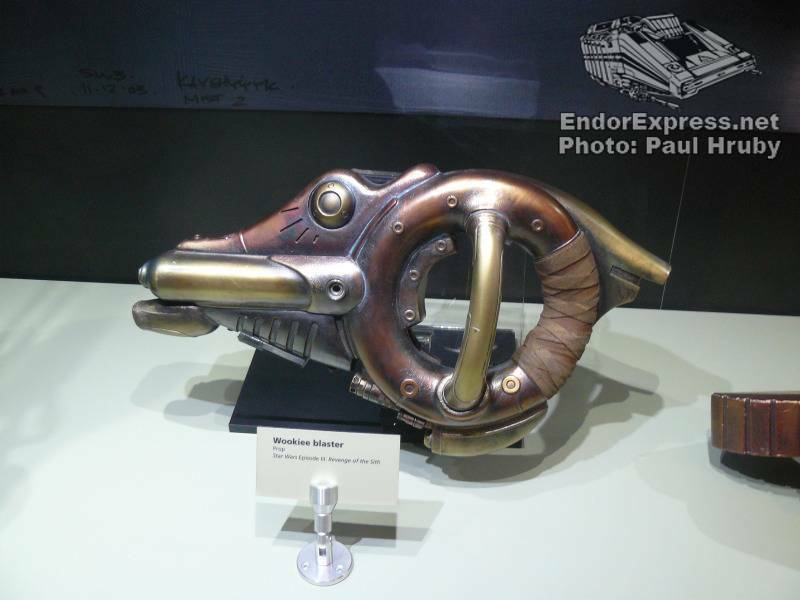 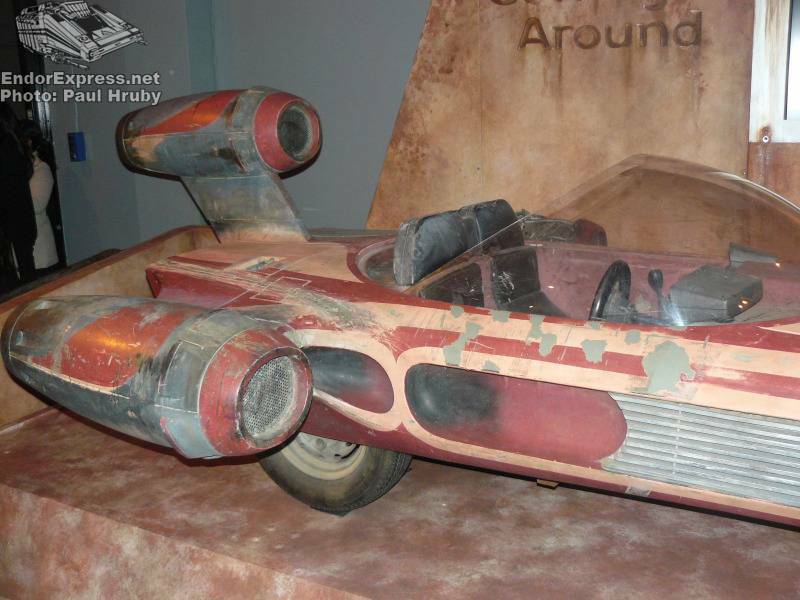 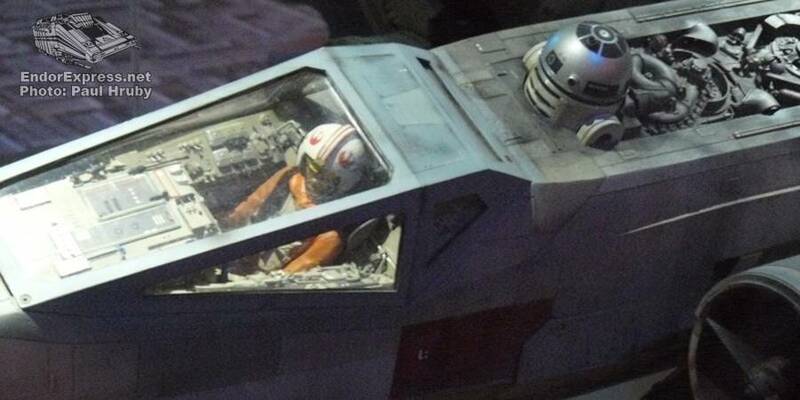 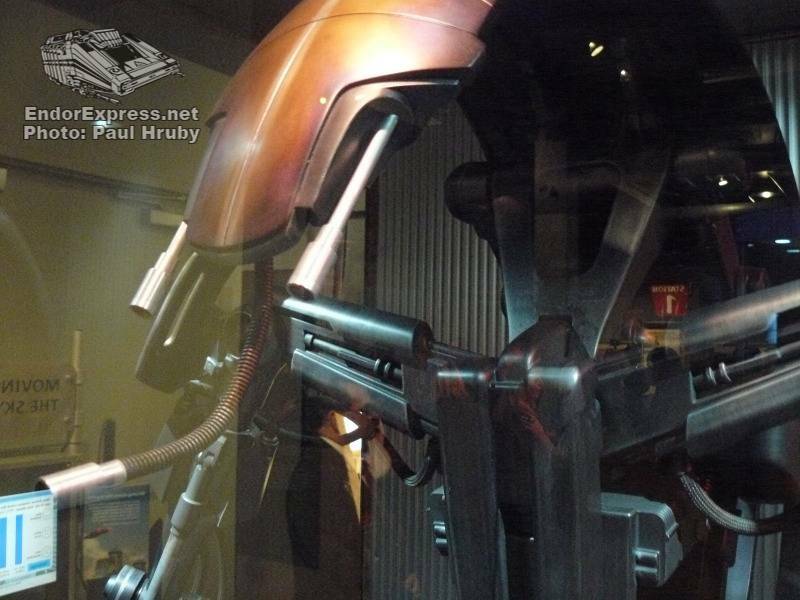 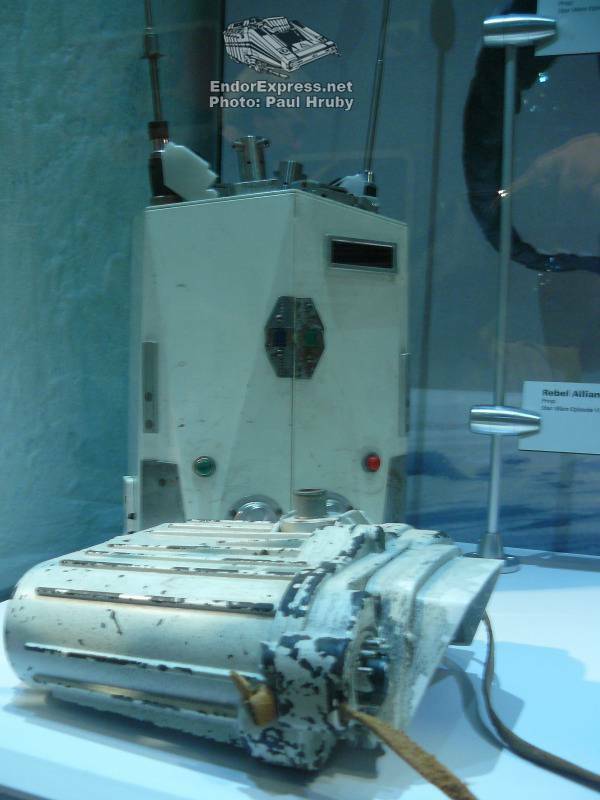 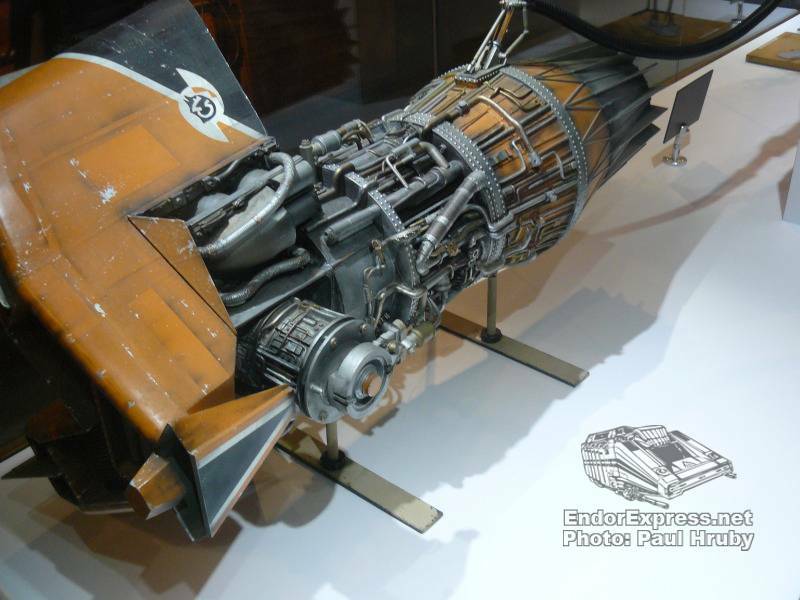 Luke Skywalker’s Land Speeder was on display. 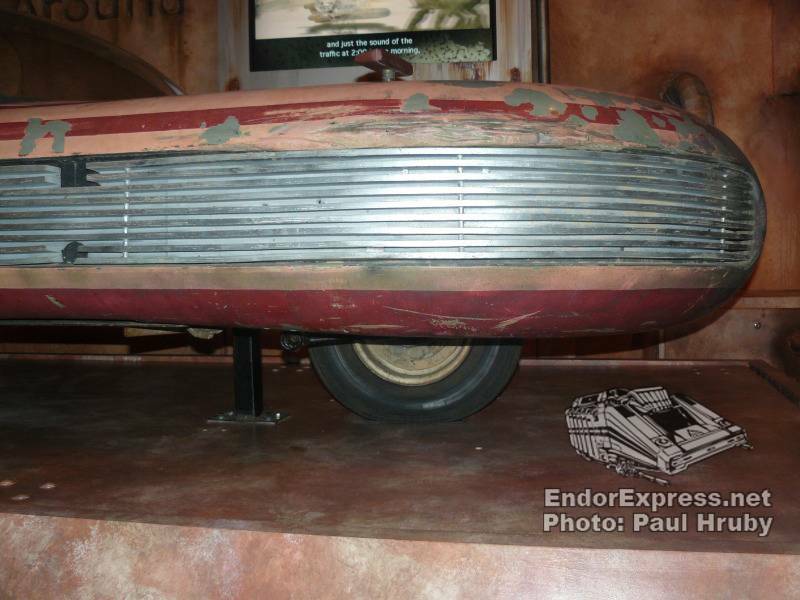 I looked underneath and saw the tires the speeder rolled on. 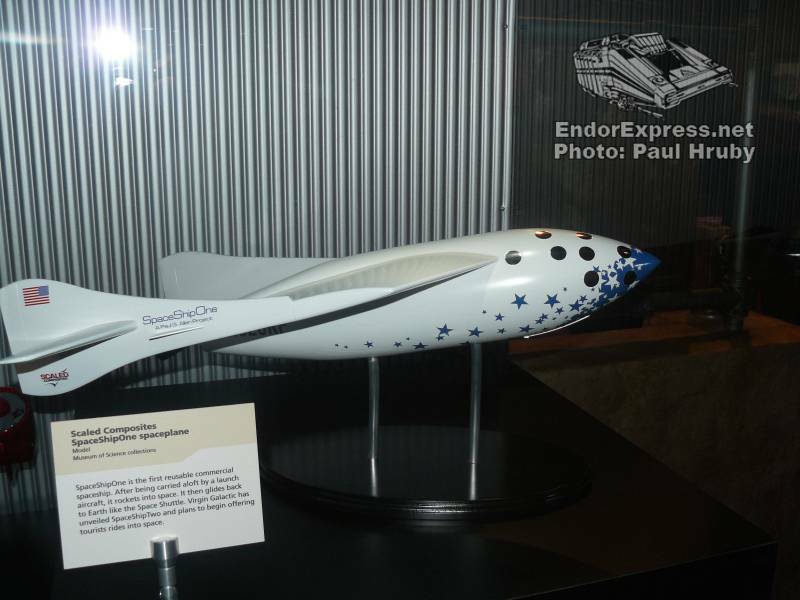 Next to it was an exhibit about future transportation and a hover car that kids could sit in and drive around. 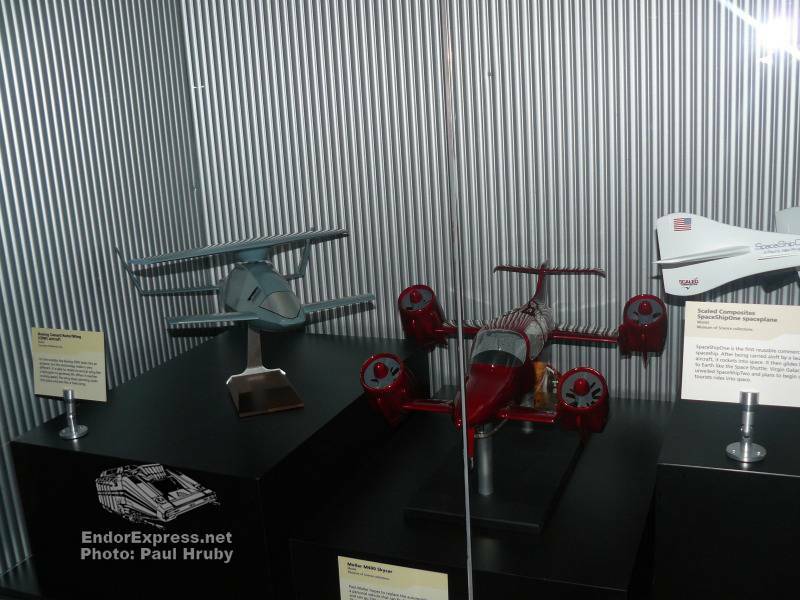 They had an exhibit were kids could experiment with magnetic levitation, imagining, creating and testing their own floating Maglev land speeders. 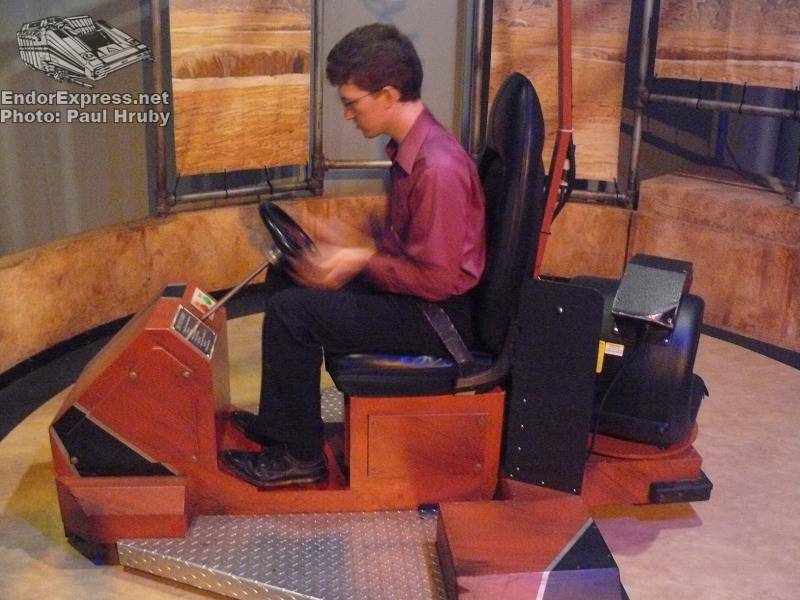 Kids could send it down a magnetic track by turning on and off magnets on the track. 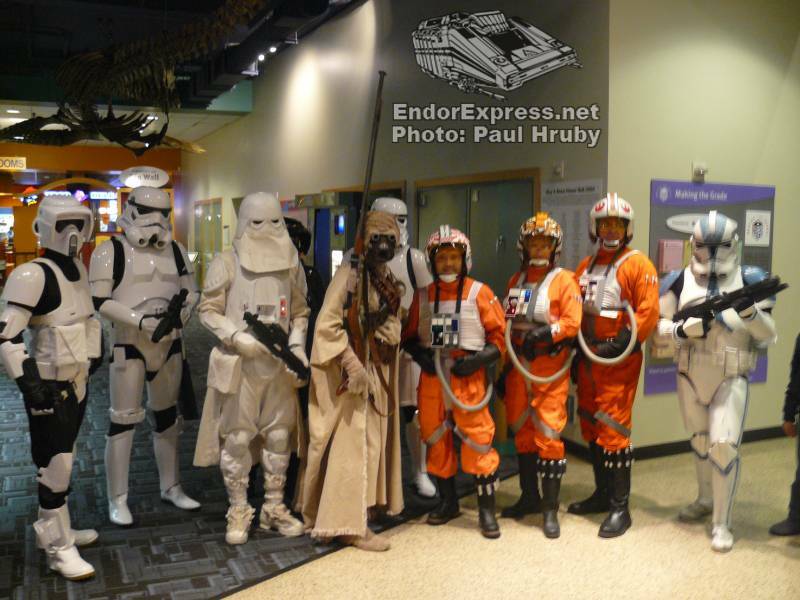 There were a lot of other things to see but the big thing was in the parking lot of the Discovery Science Center. 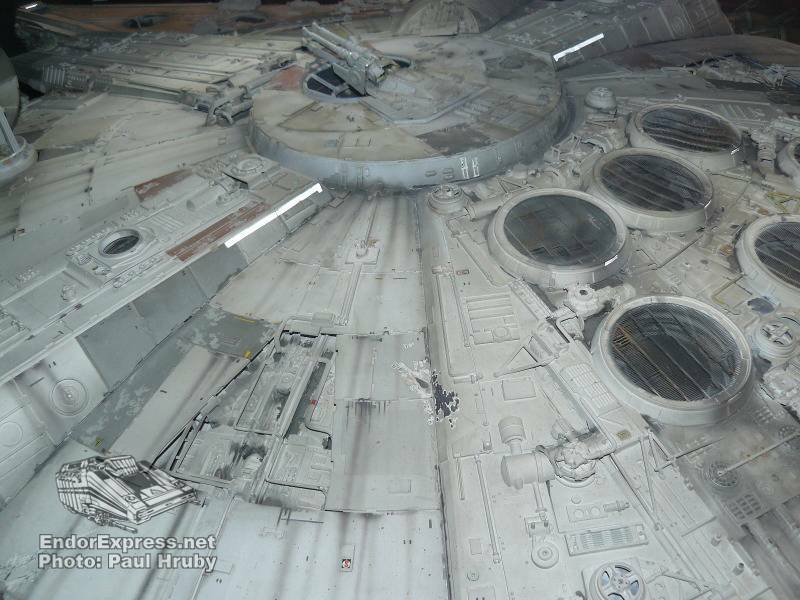 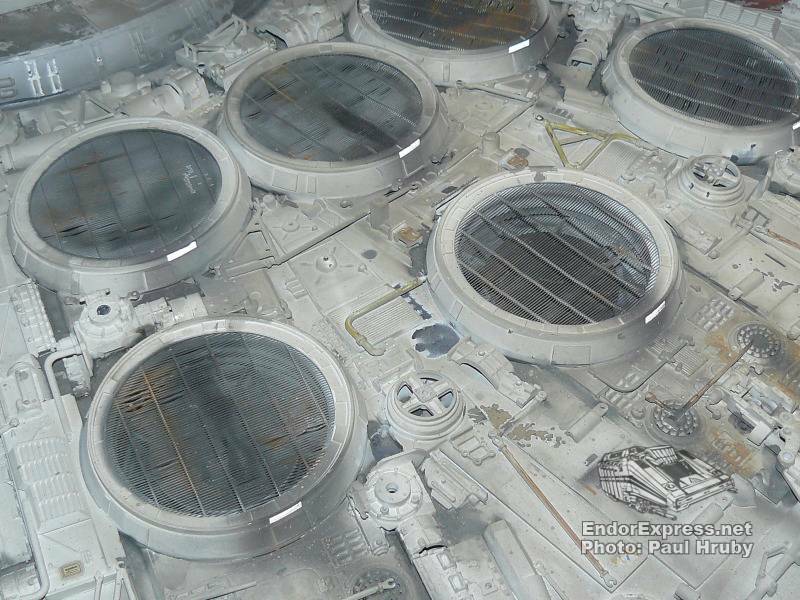 They had a full size cockpit of the Millennium Falcon with all the buttons and knobs of the real thing. 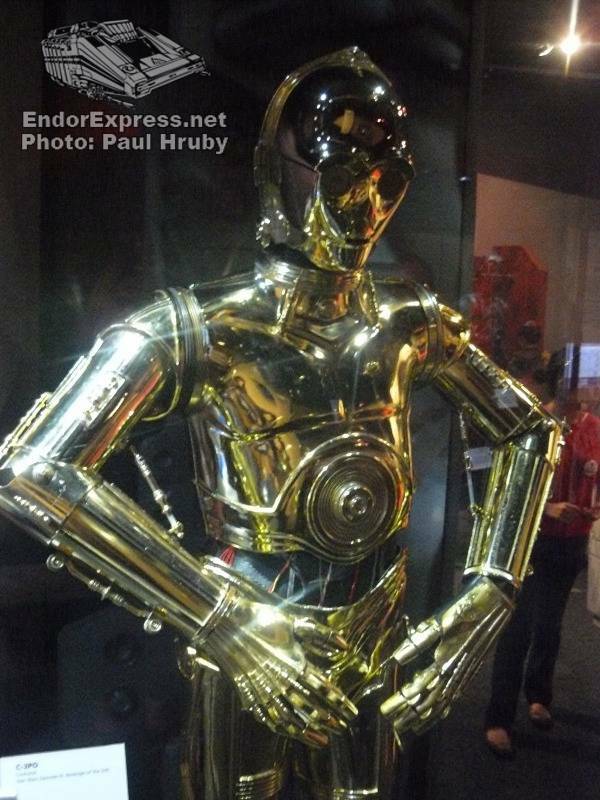 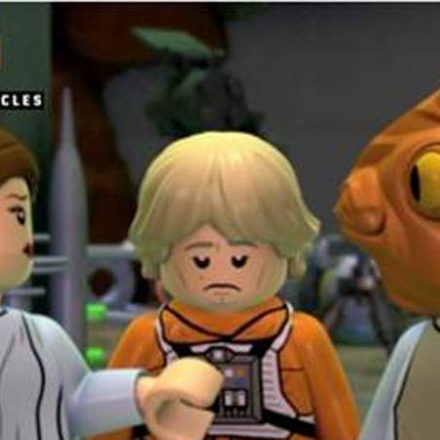 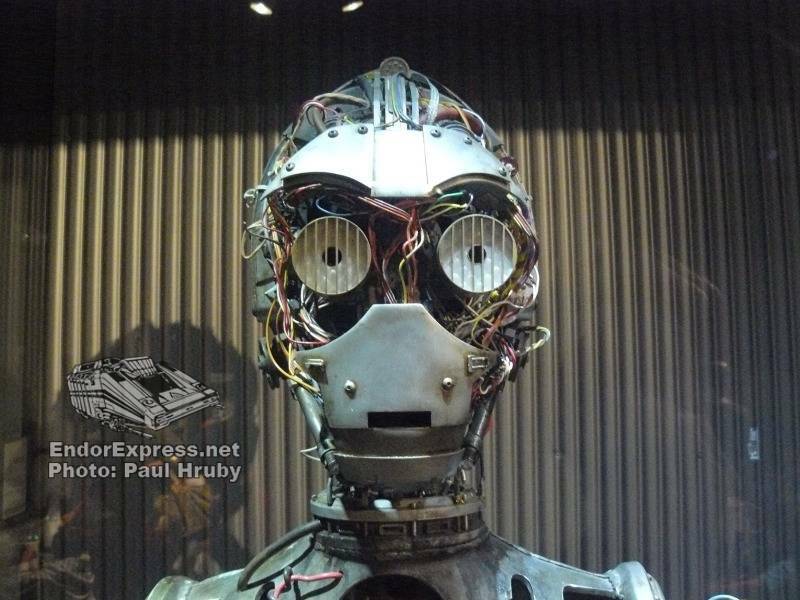 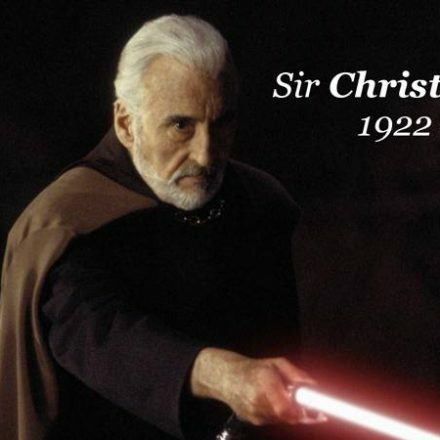 C-3PO took us on a three minute journey to explore the Universe. 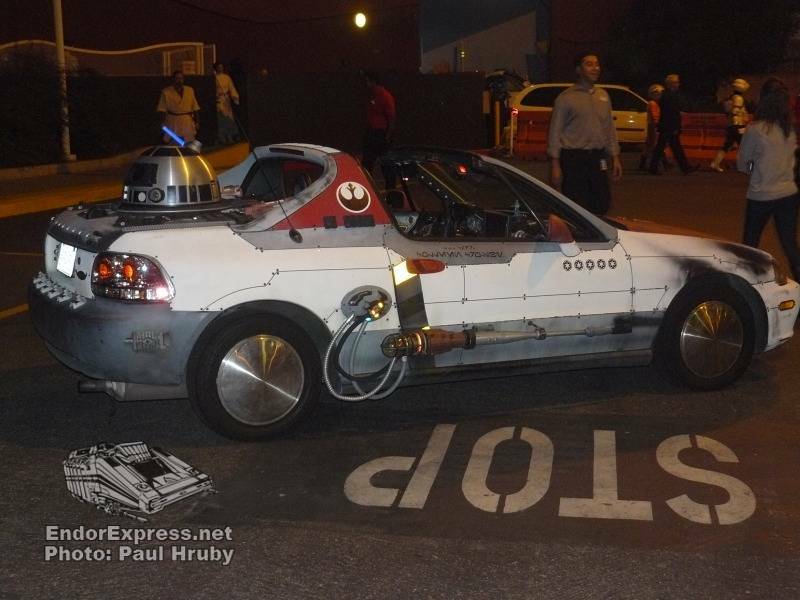 We traveled thru our solar system and then hyper spaced outside of our galaxy. 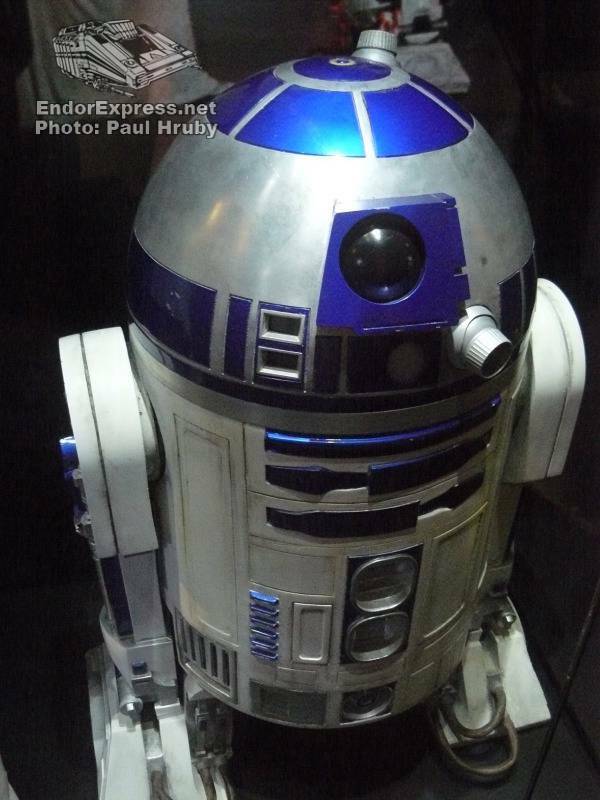 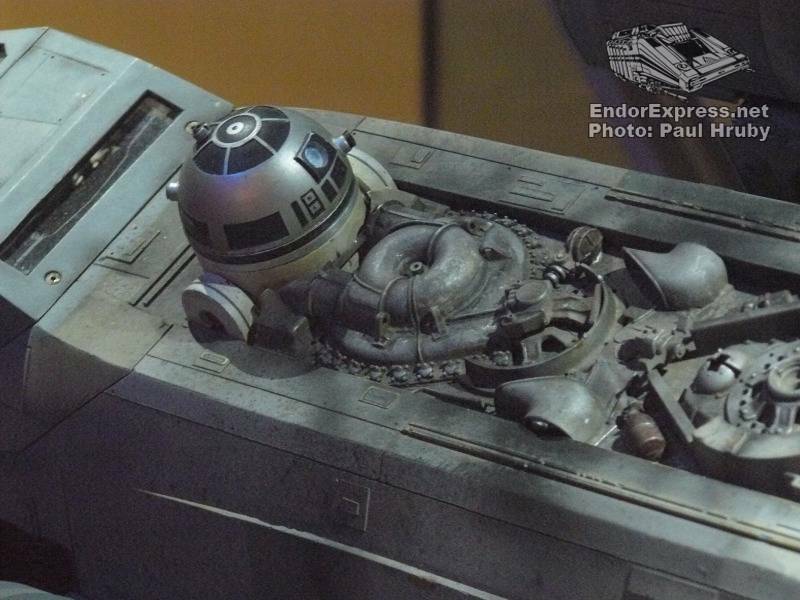 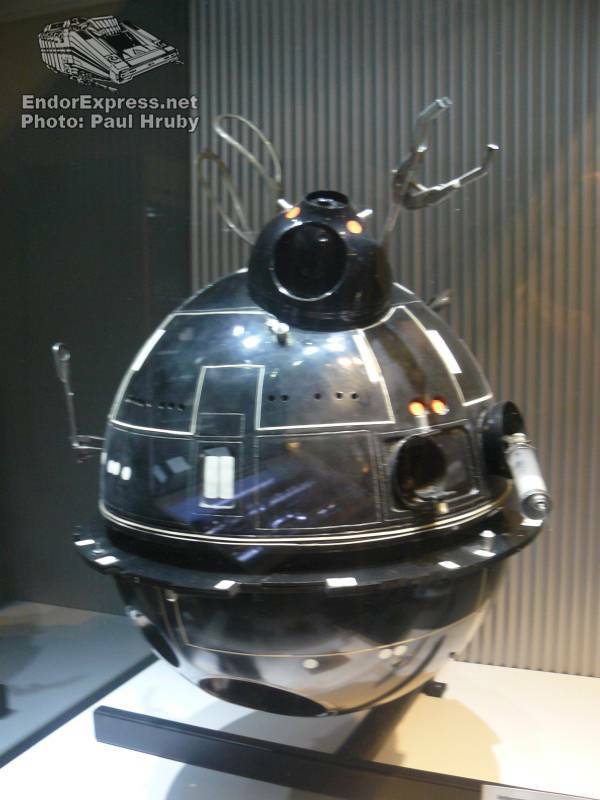 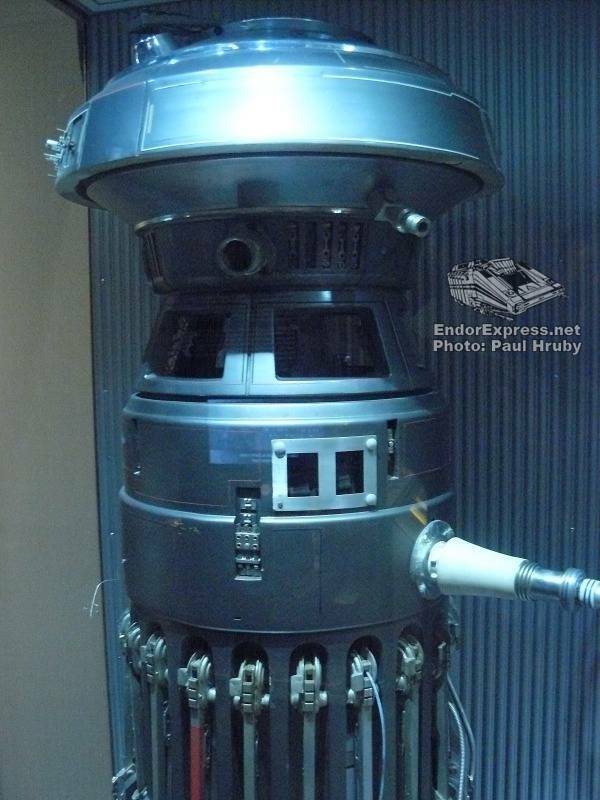 Then finally we reached the outer most part of the Universe before R2 brought us home again. 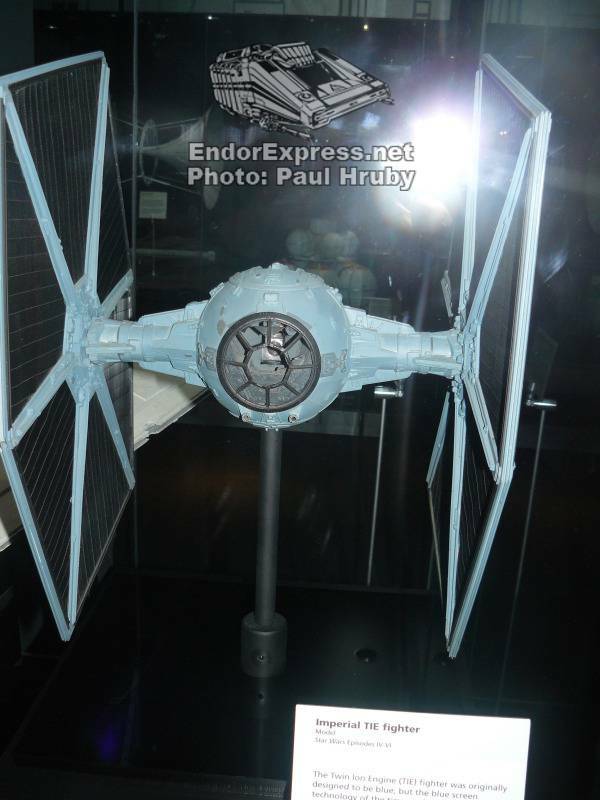 The Discovery Science Center is an amazing place! 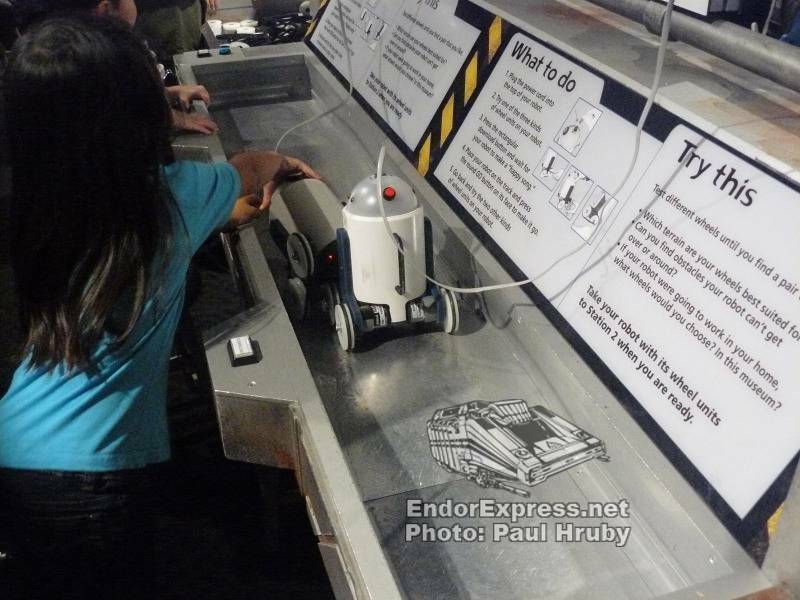 It is geared toward teaching children about science through fun and exciting experiments. 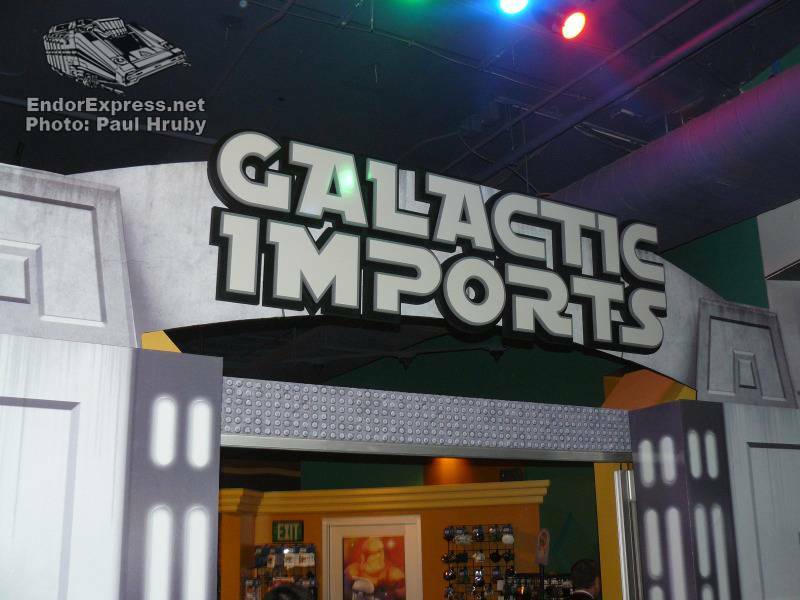 This place makes science fun and I had blast! I can’t wait to bring my kids to the Discovery Science Center. The exhibit is open from November 18 to April 15.